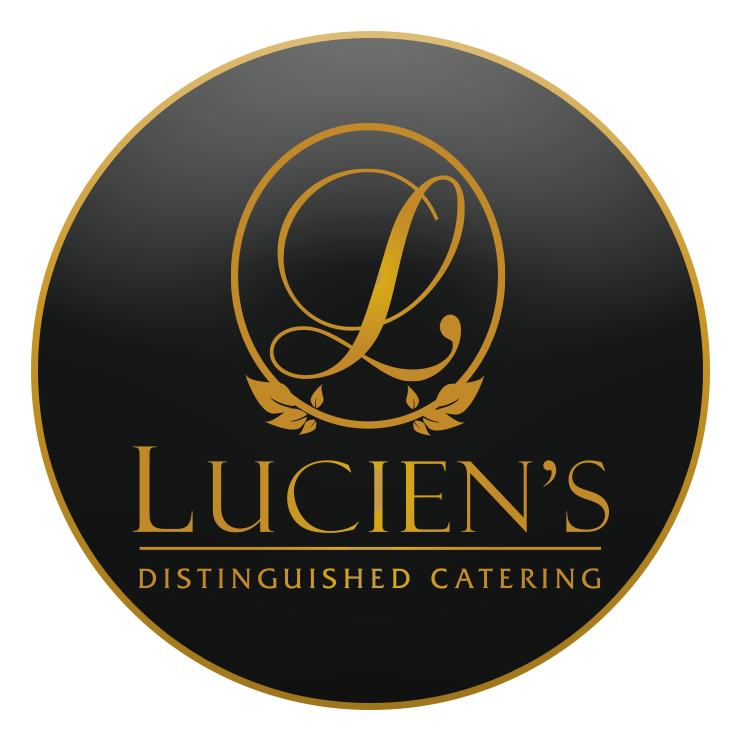 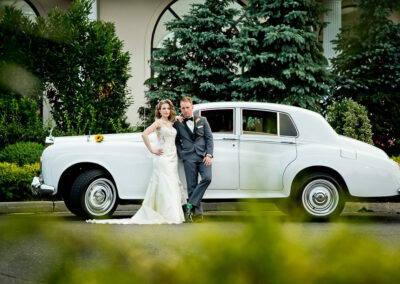 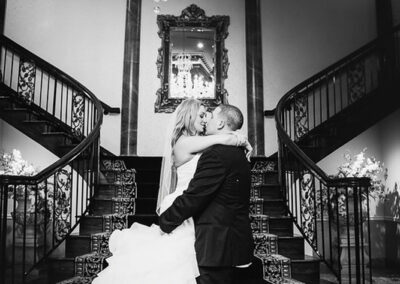 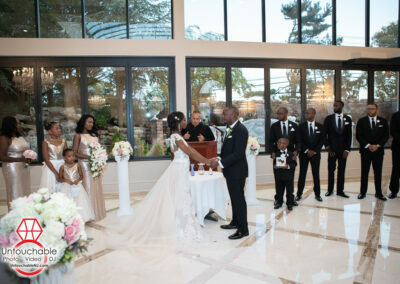 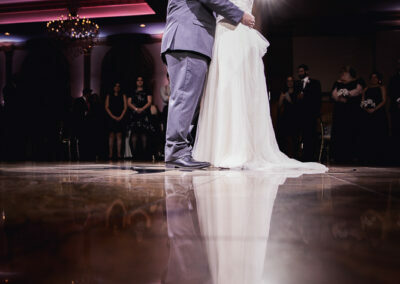 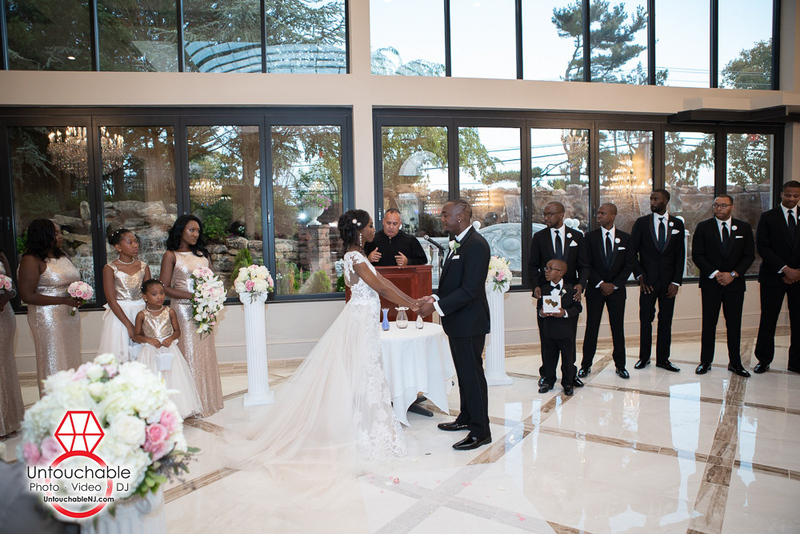 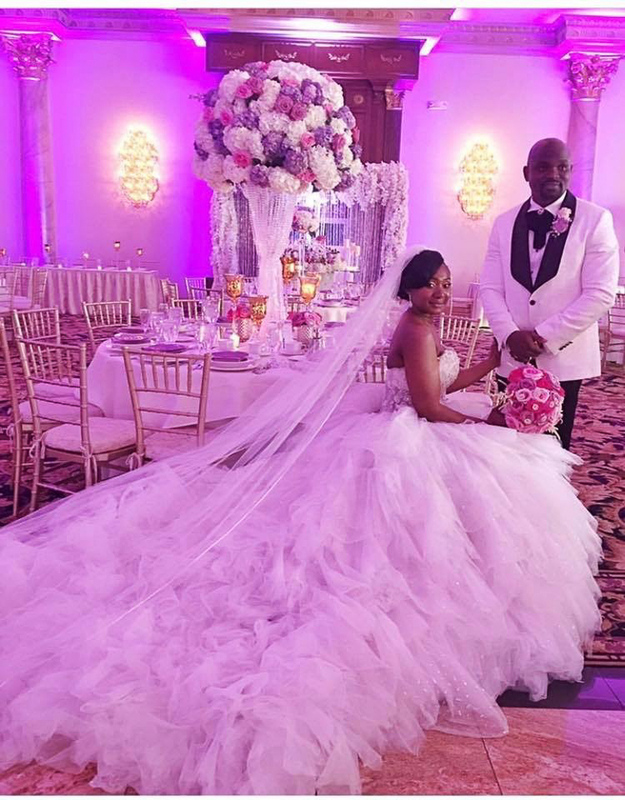 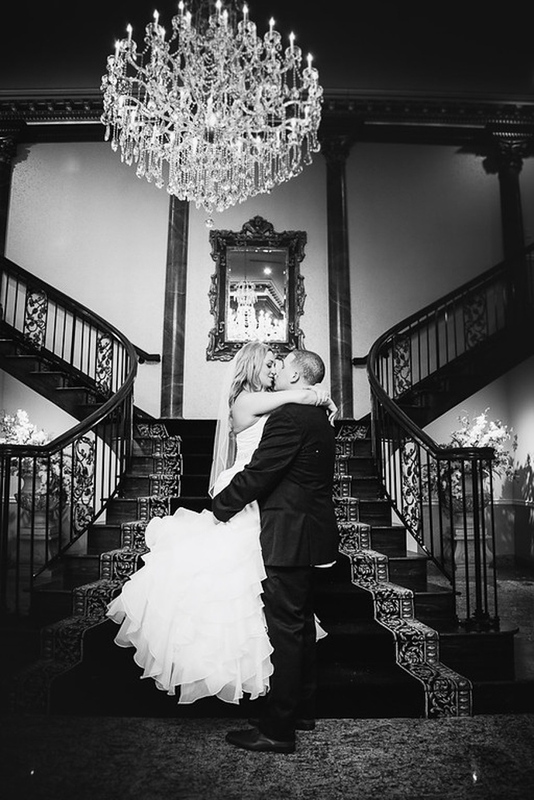 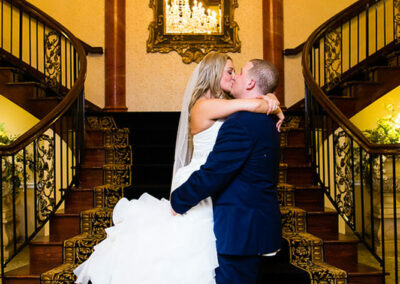 Lucien’s is ready to offer you on the best experience in the best day of your life. 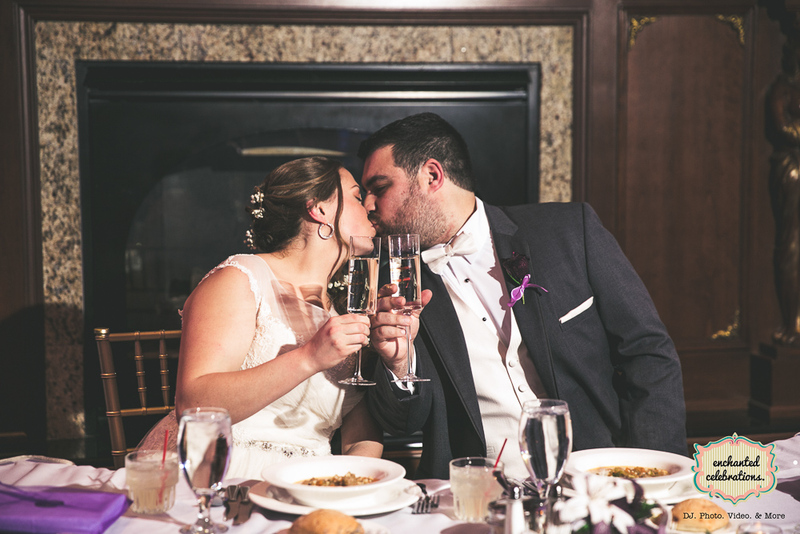 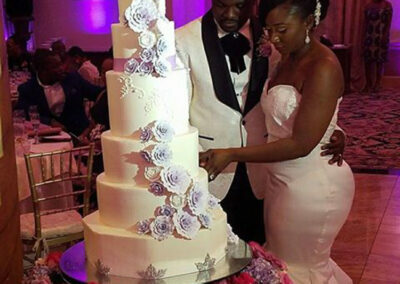 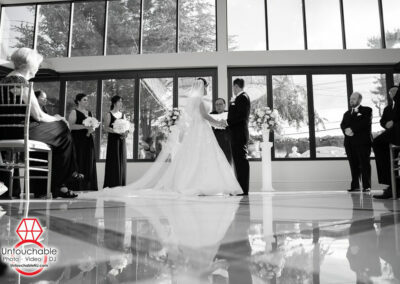 You will quickly see that your wedding day is as important to us as it is to you. 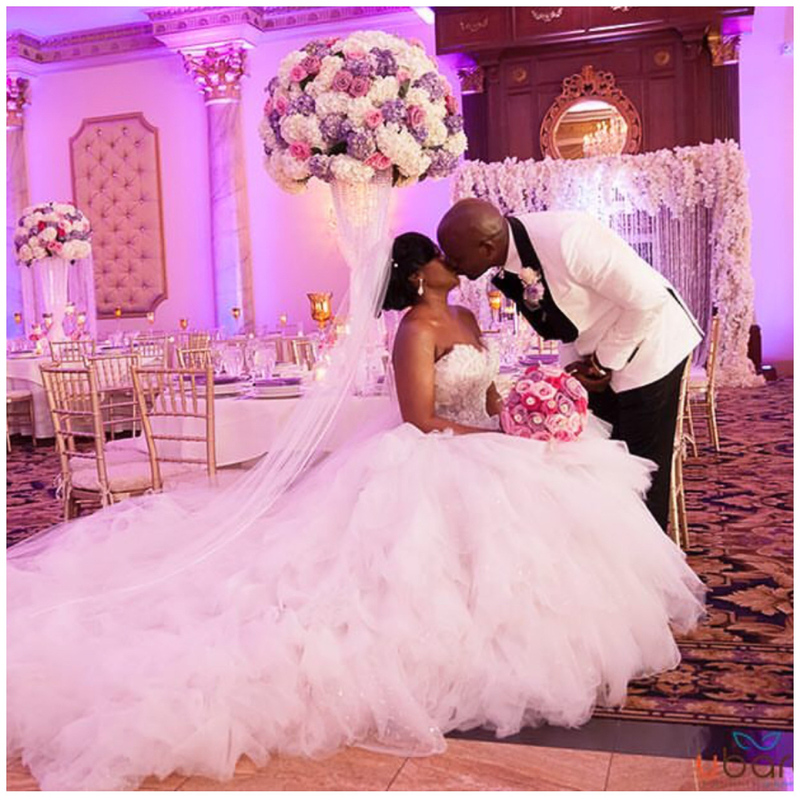 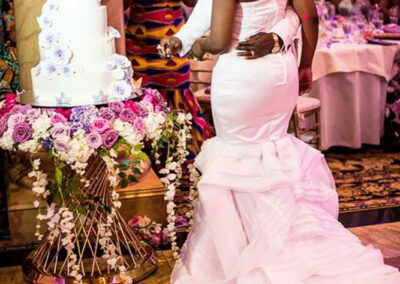 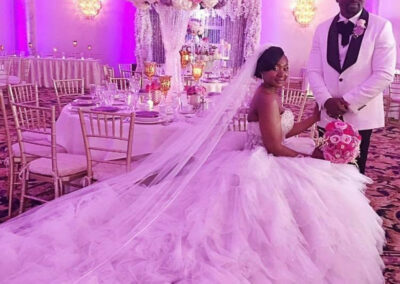 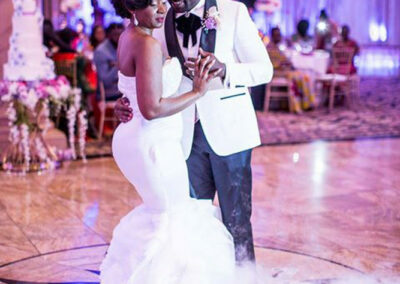 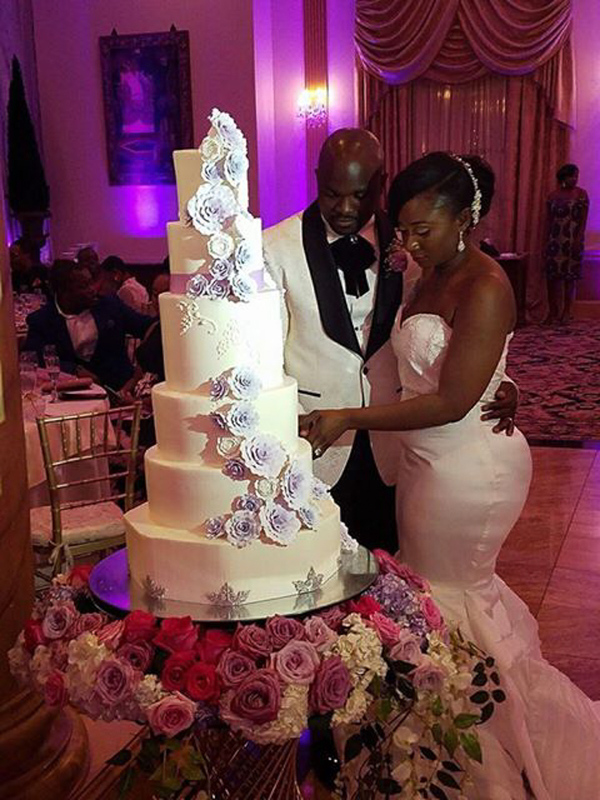 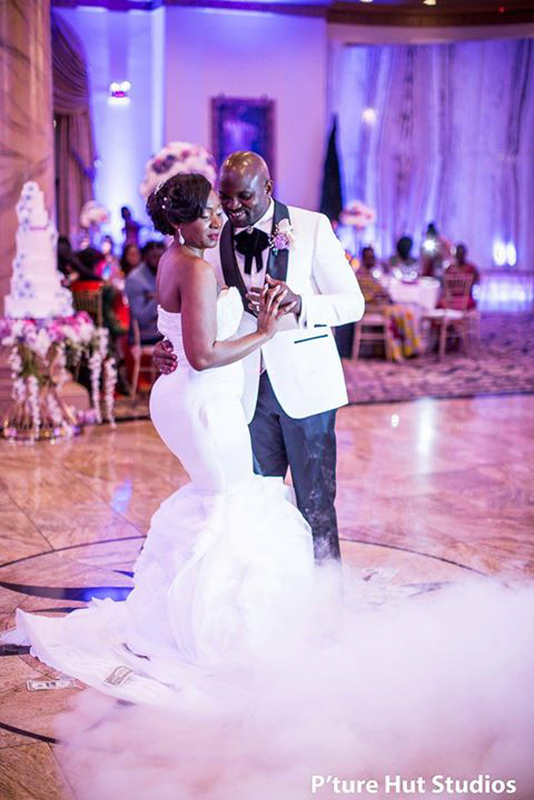 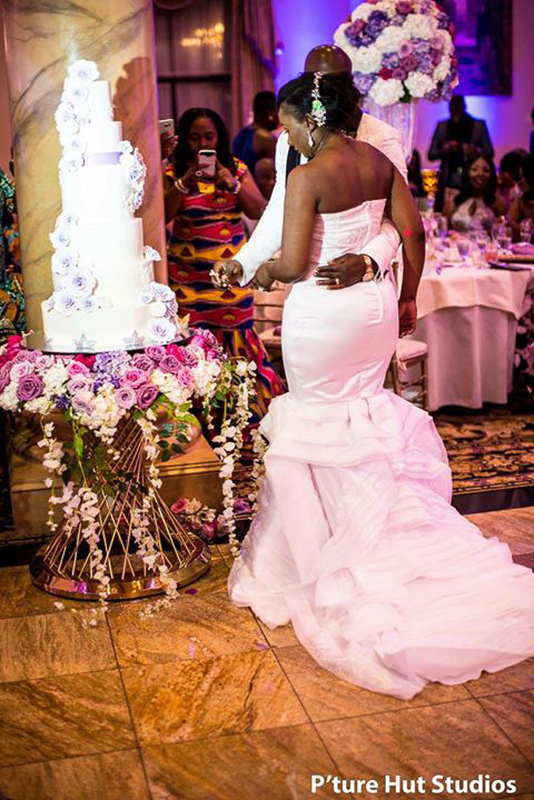 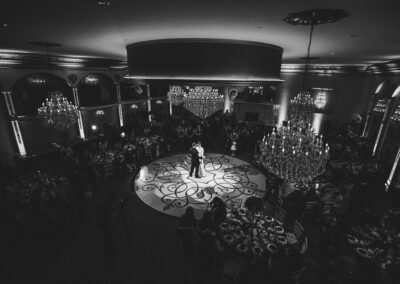 Feel free to allow our skilled event specialists assist you in all facets of the planning process, from initial consultation until the last dance. 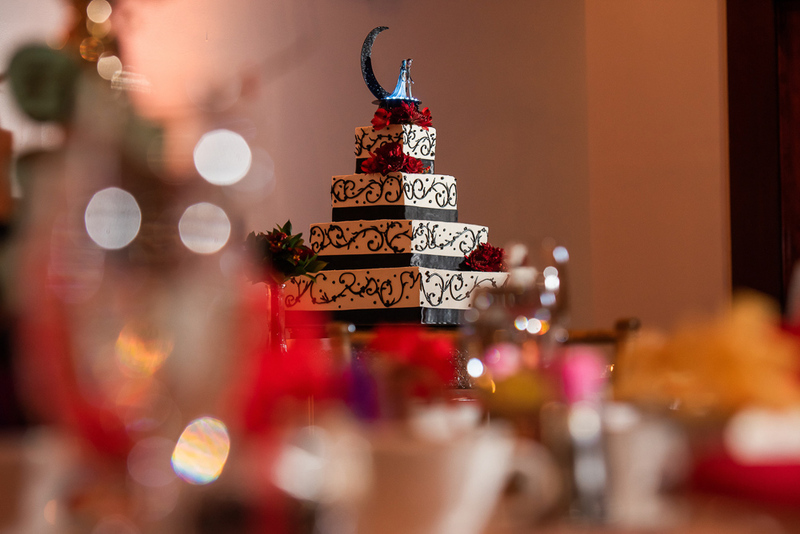 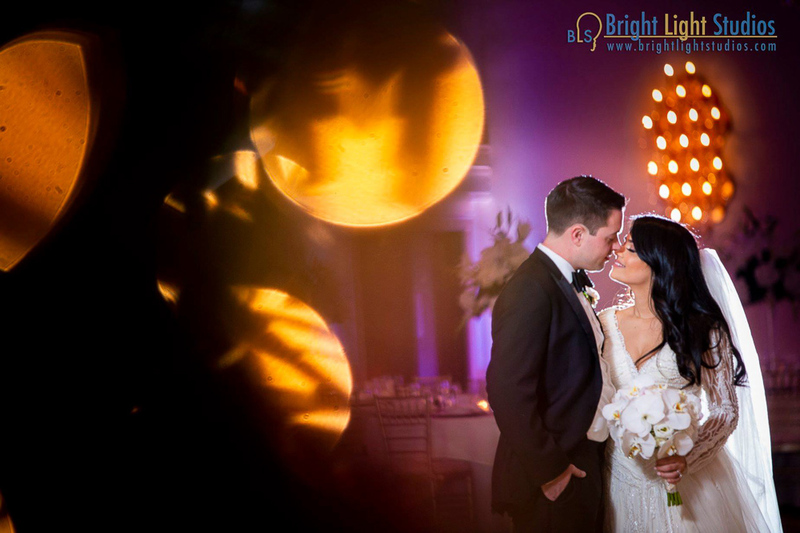 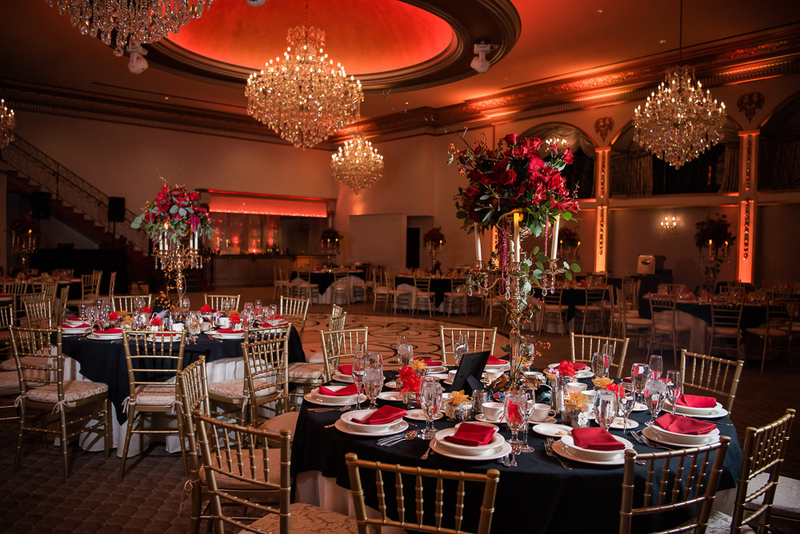 Whether you need assistance arranging lighting or choosing from our exquisite menu options – every detail of your wedding day will be managed. 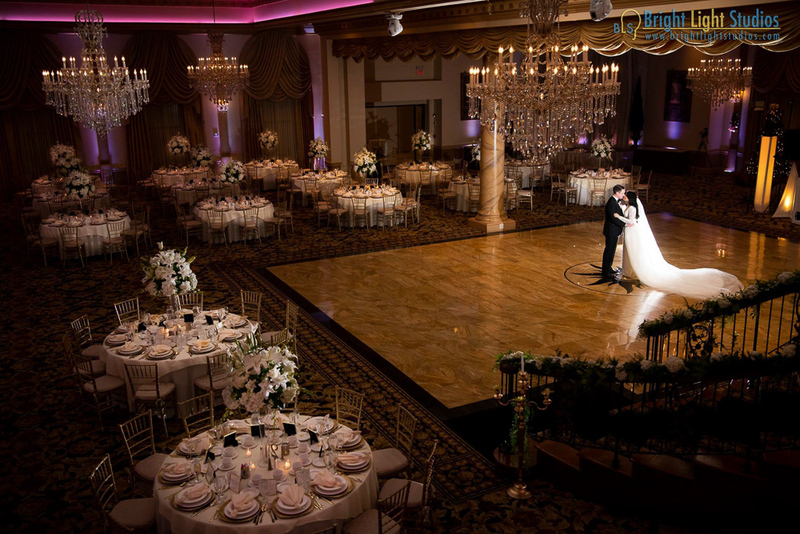 Splendid places for your best moment. 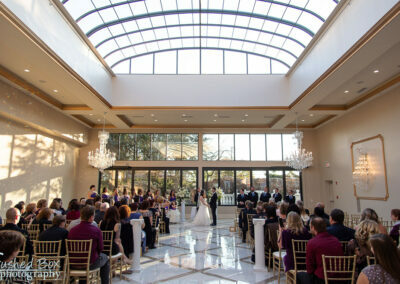 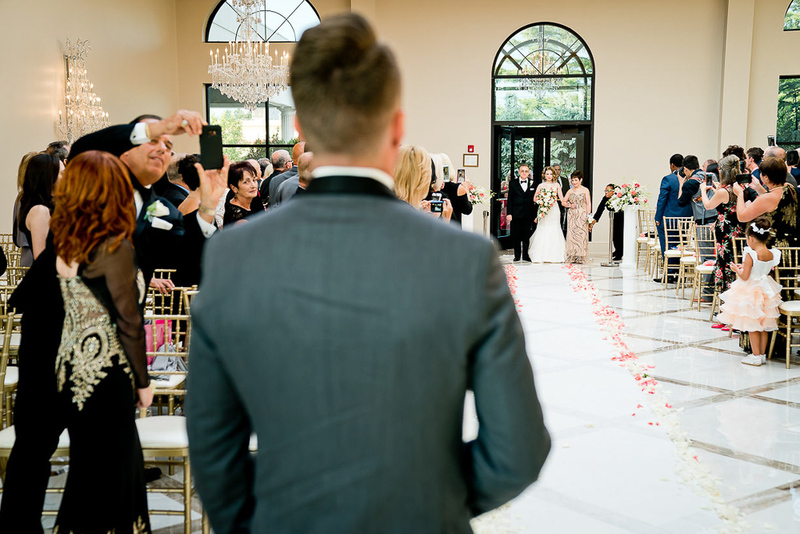 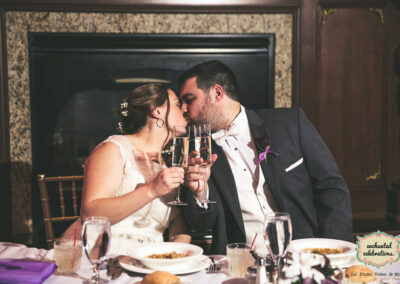 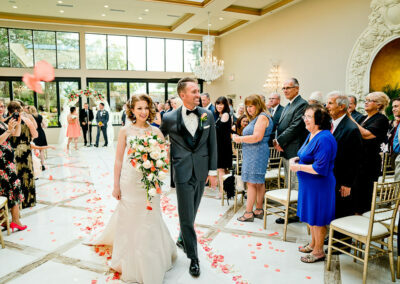 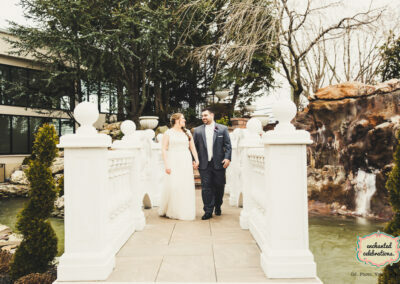 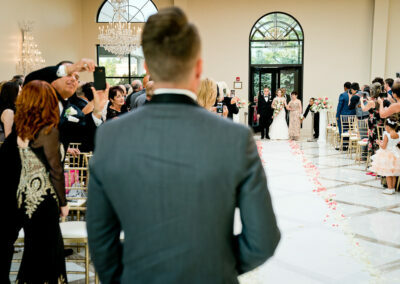 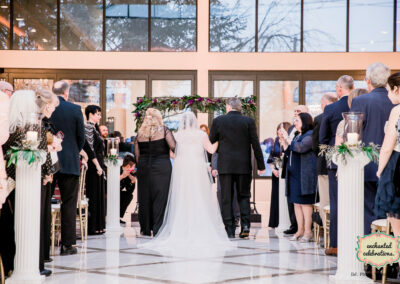 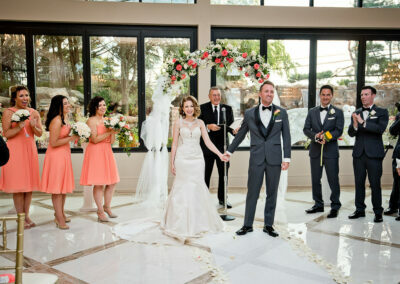 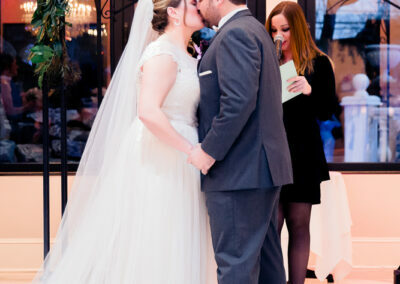 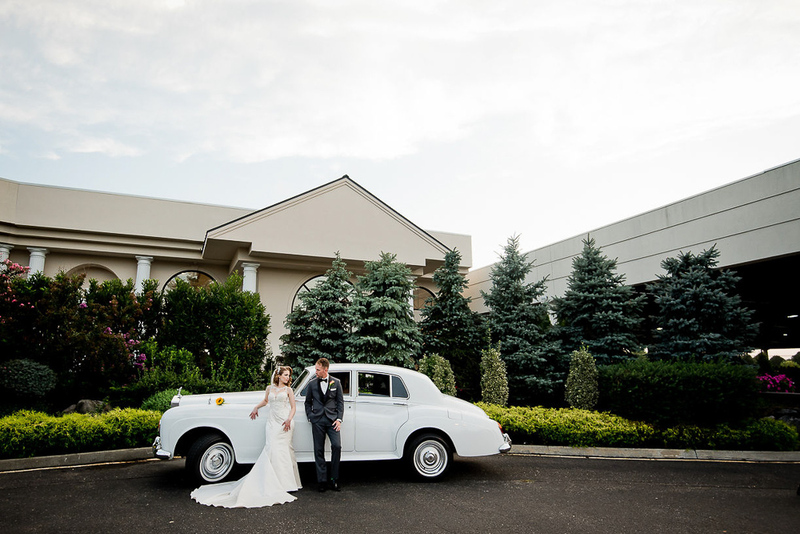 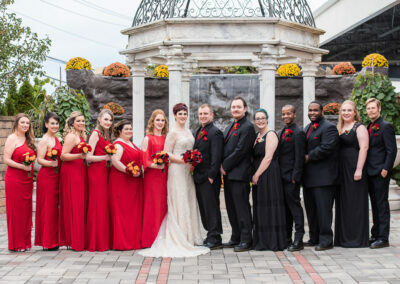 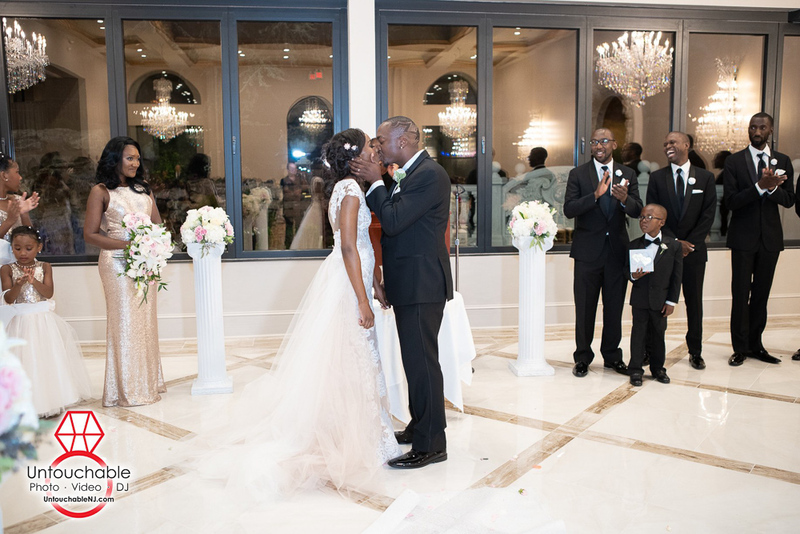 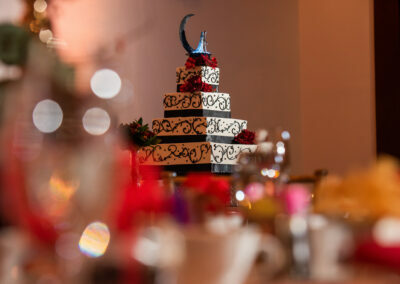 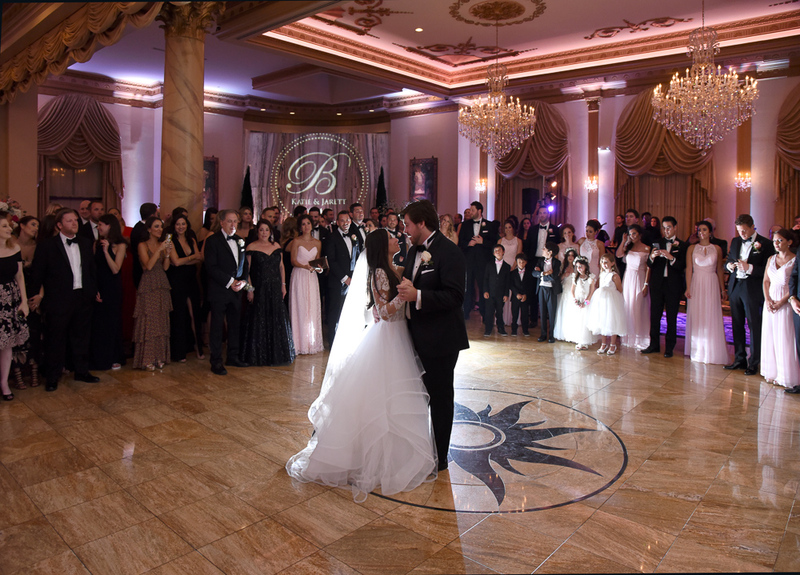 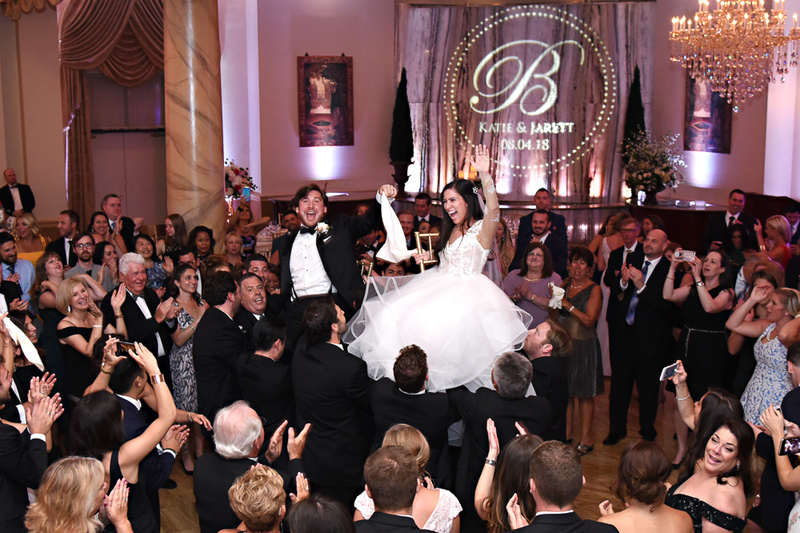 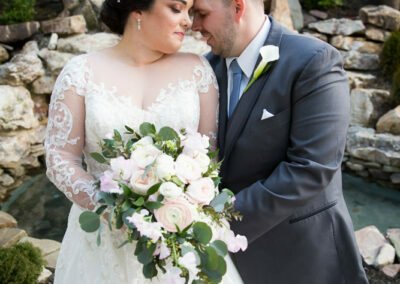 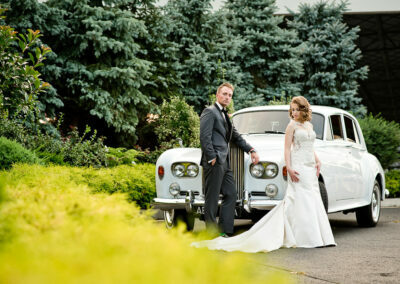 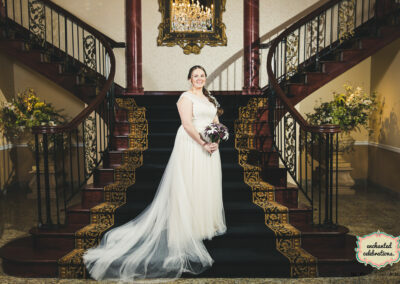 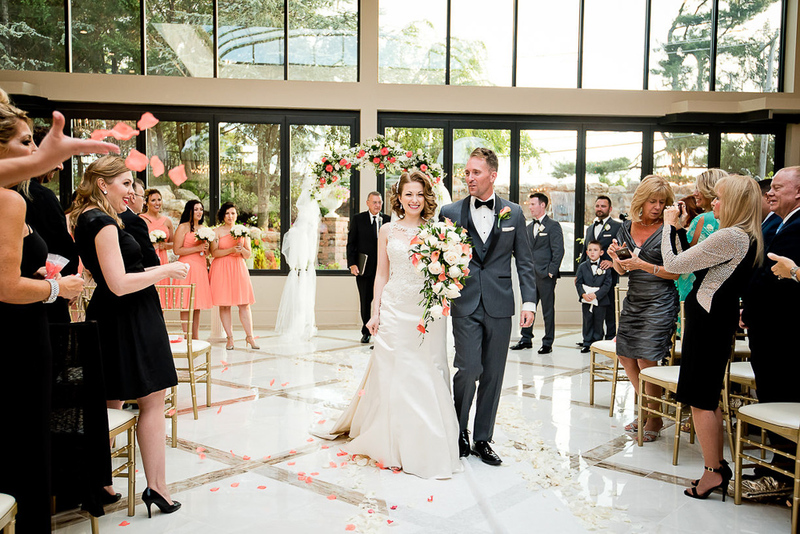 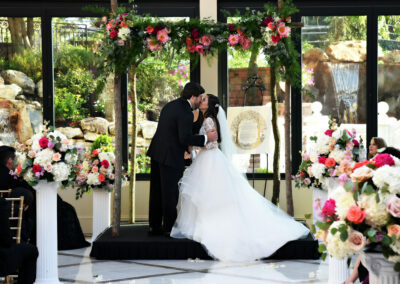 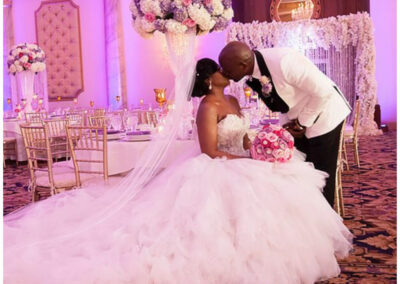 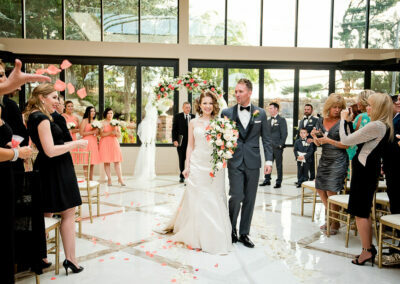 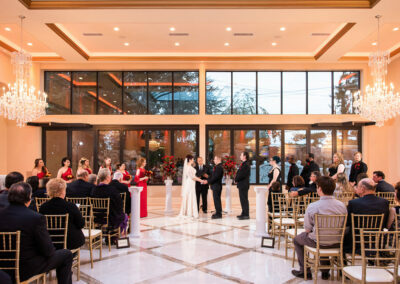 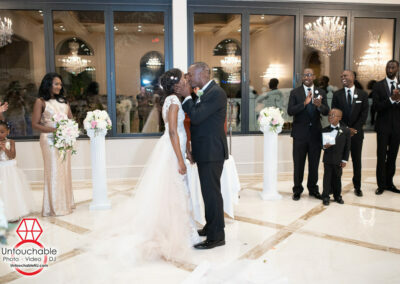 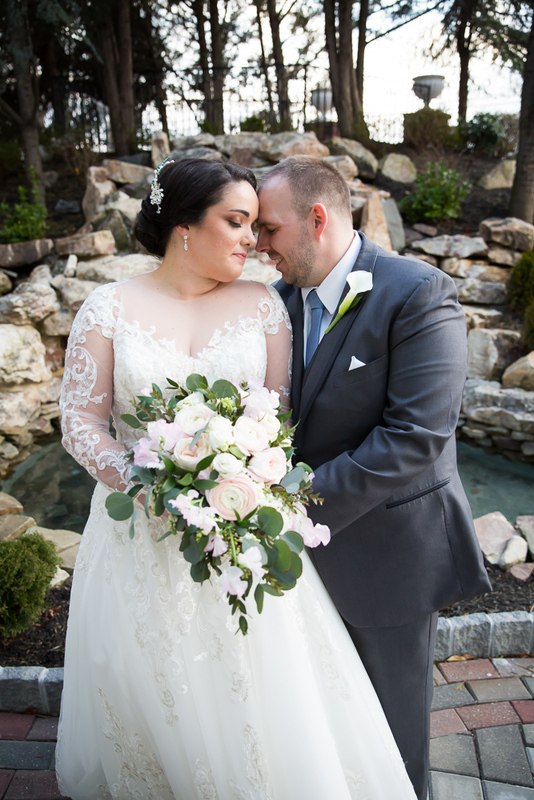 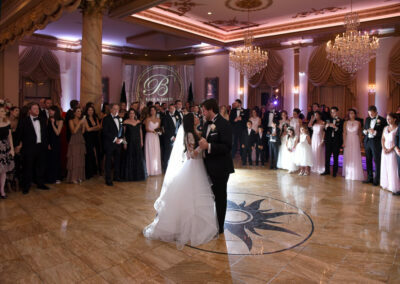 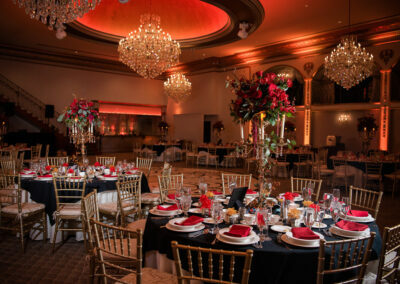 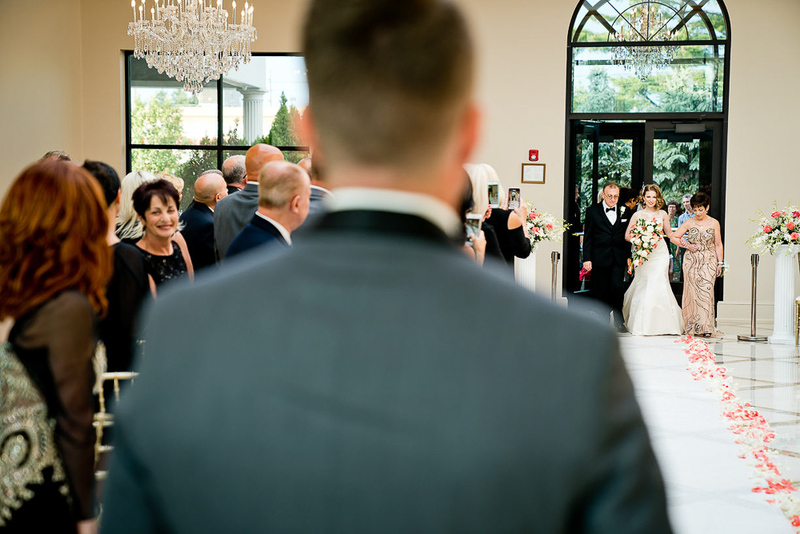 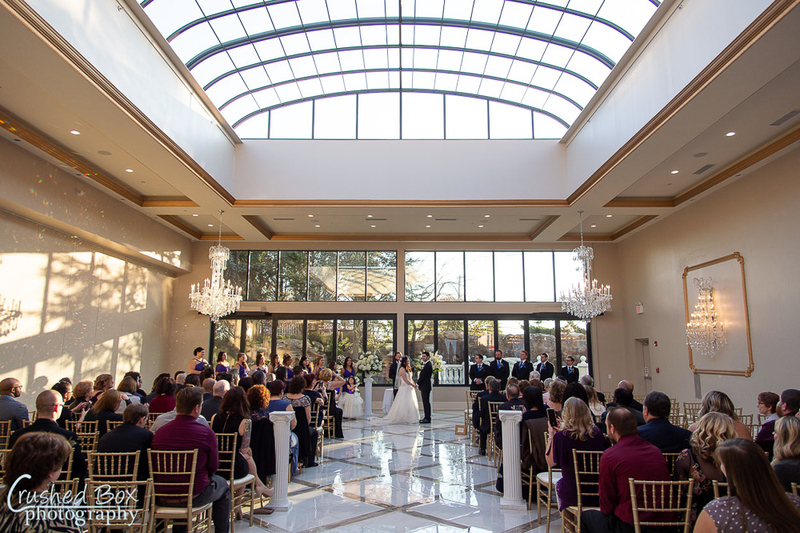 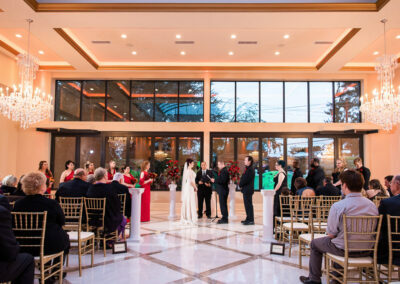 Three exquisite ballrooms, each unique and remarkable, can accommodate everything from on-site ceremonies and smaller soirees to banquets for up to 550 guests–or host an alfresco cocktail hour on the outdoor patio that overlooks the expansive ground. 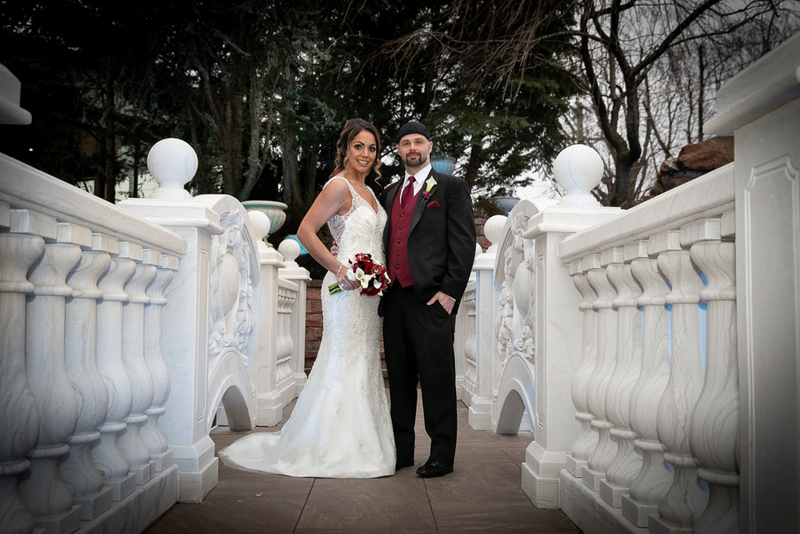 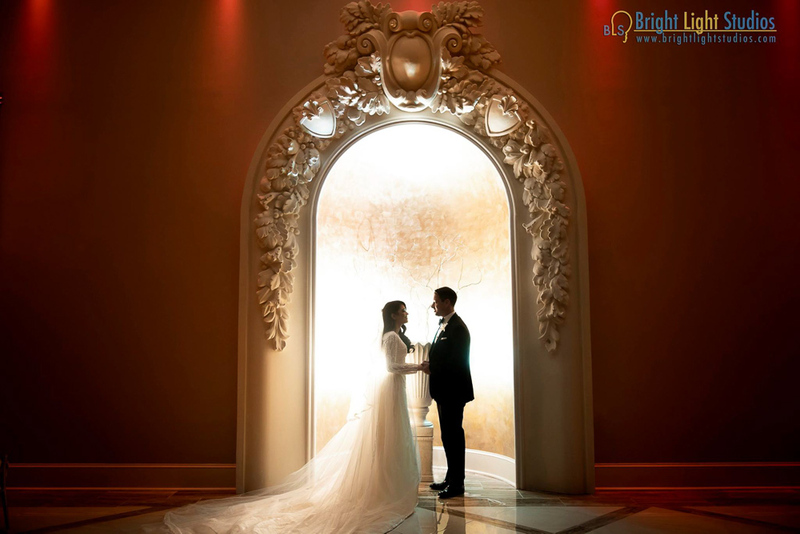 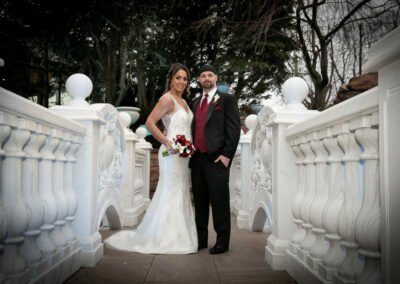 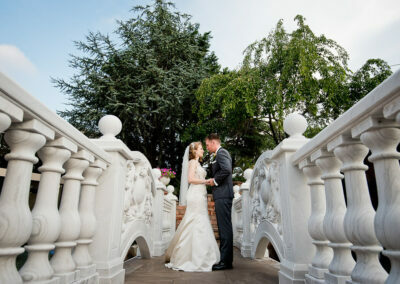 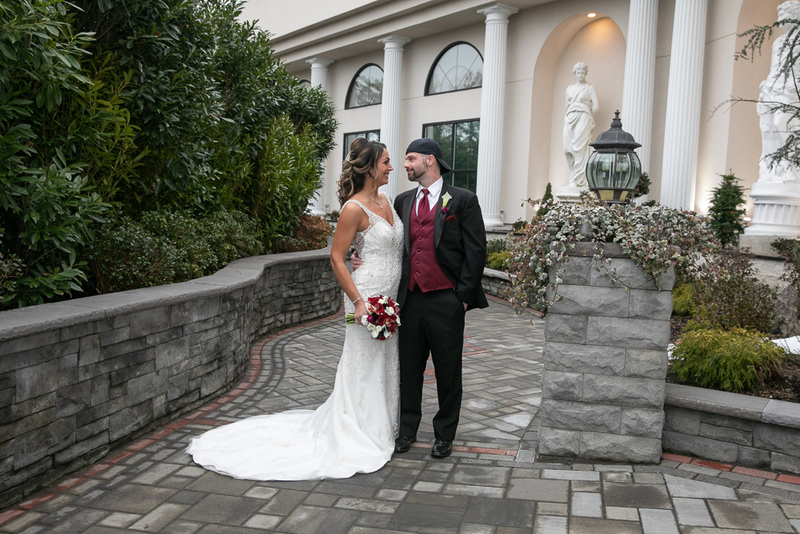 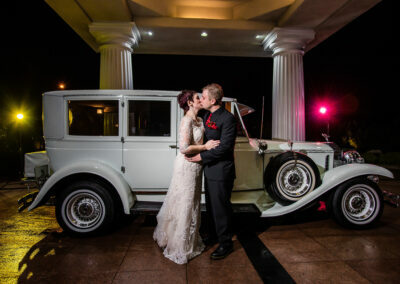 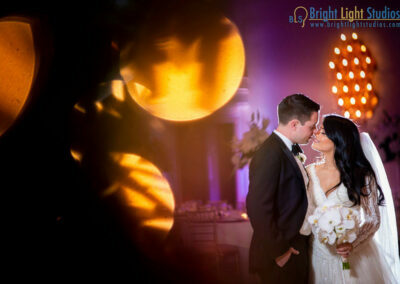 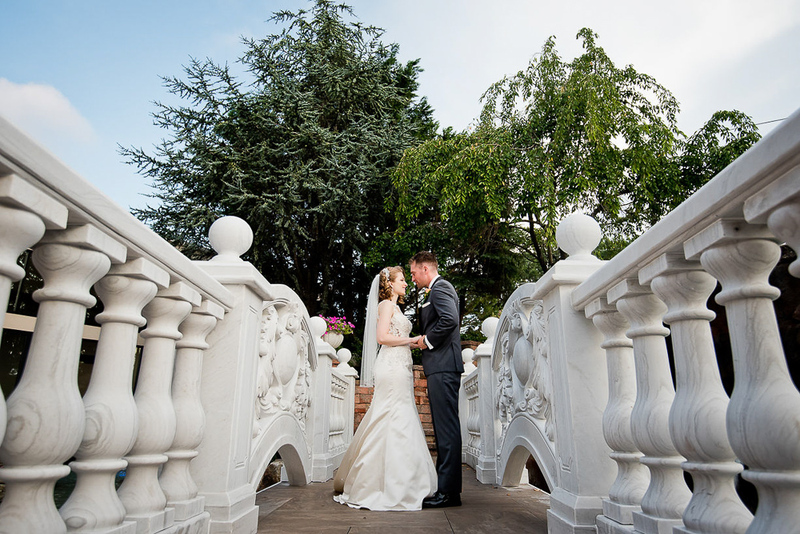 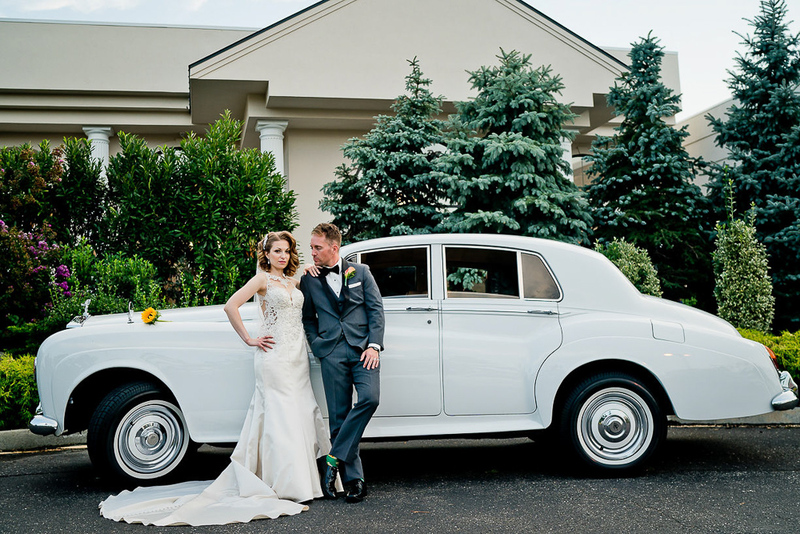 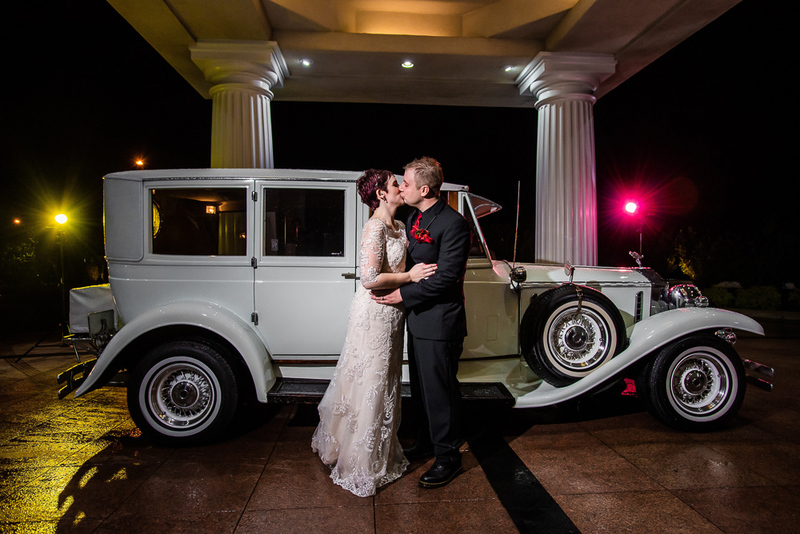 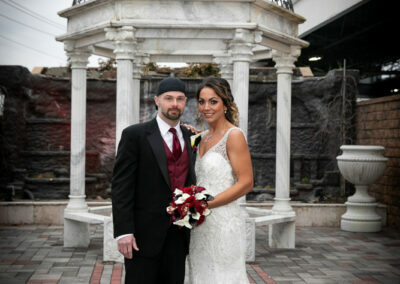 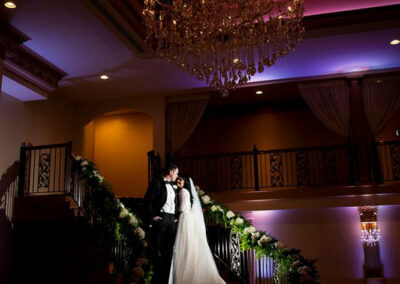 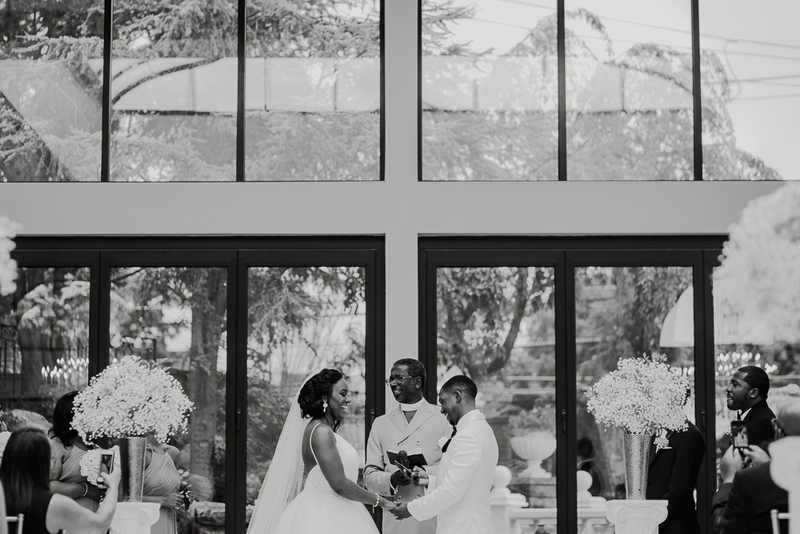 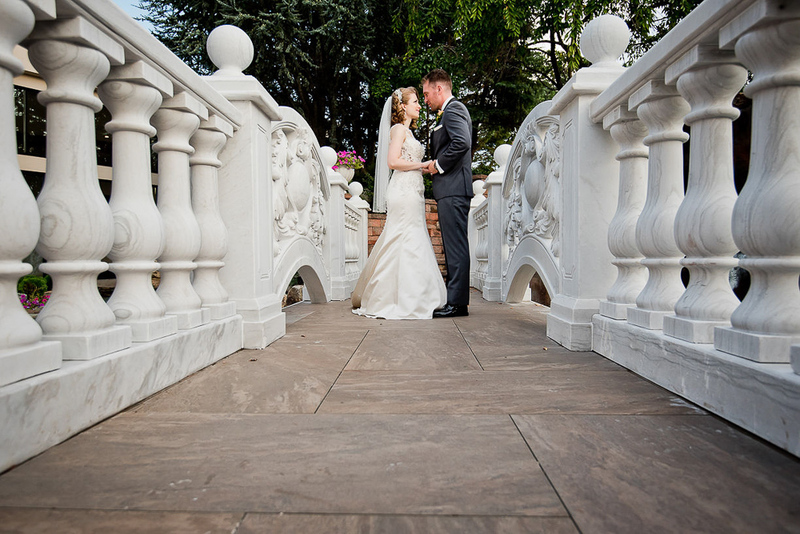 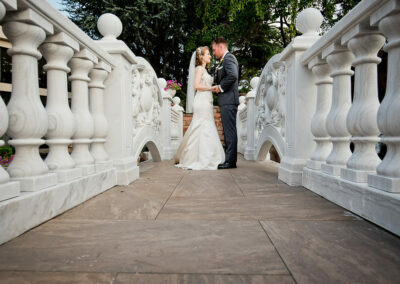 Day or evening, indoor and outdoor, photo opportunities abound with magnificent architecture backdrops. 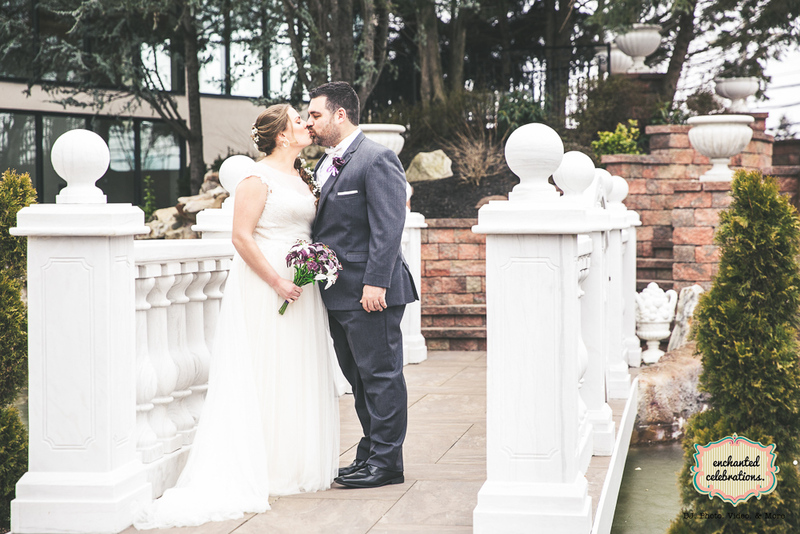 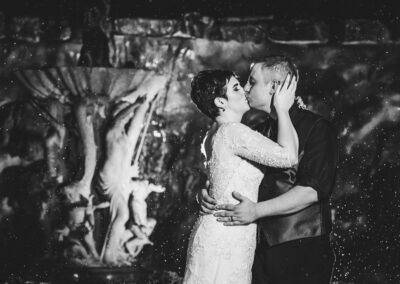 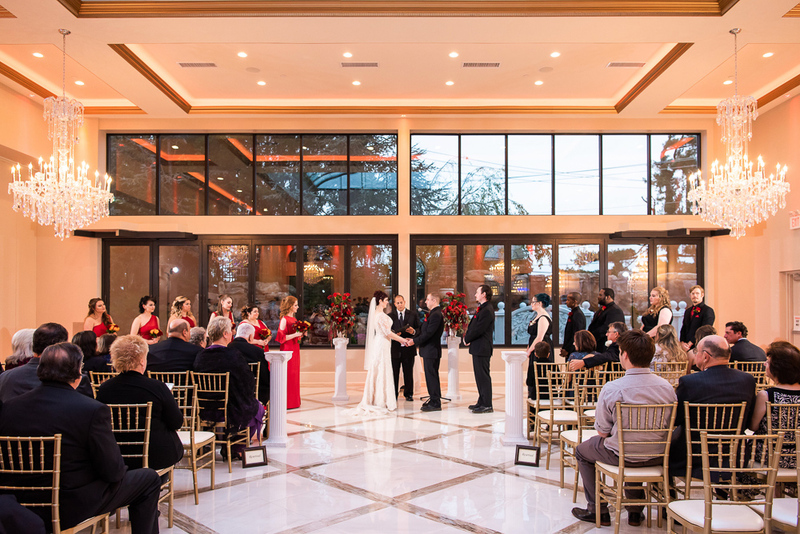 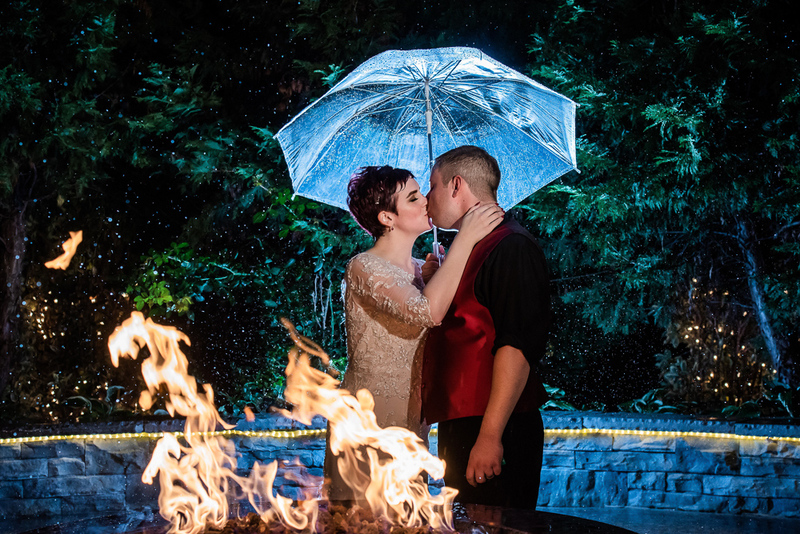 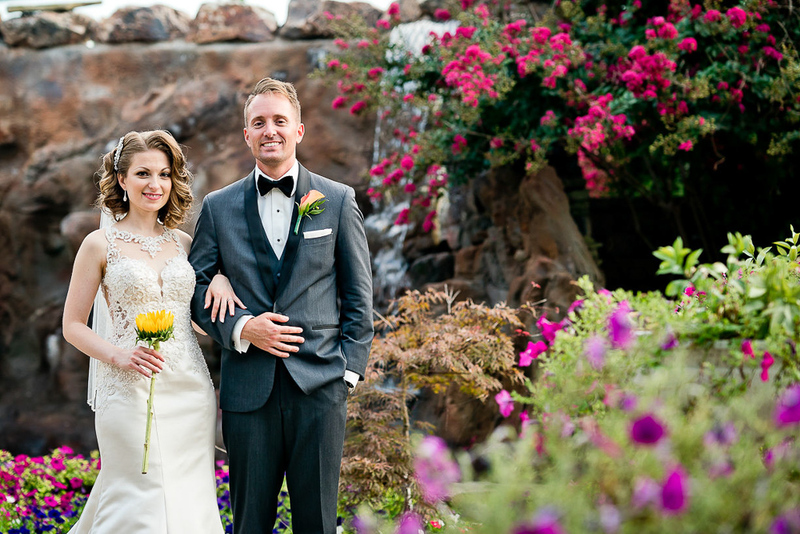 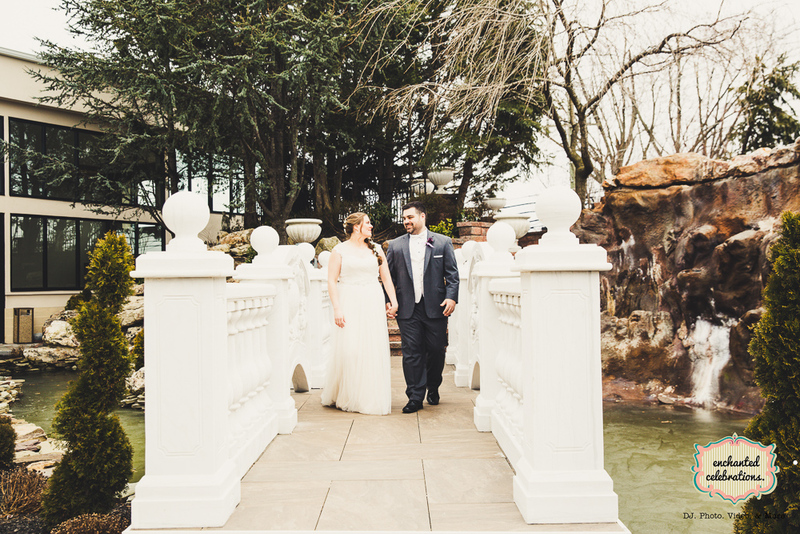 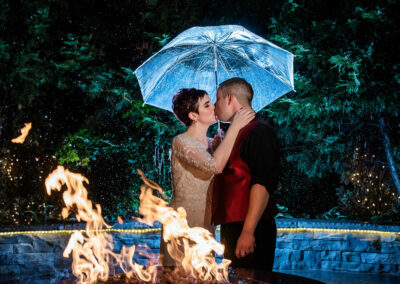 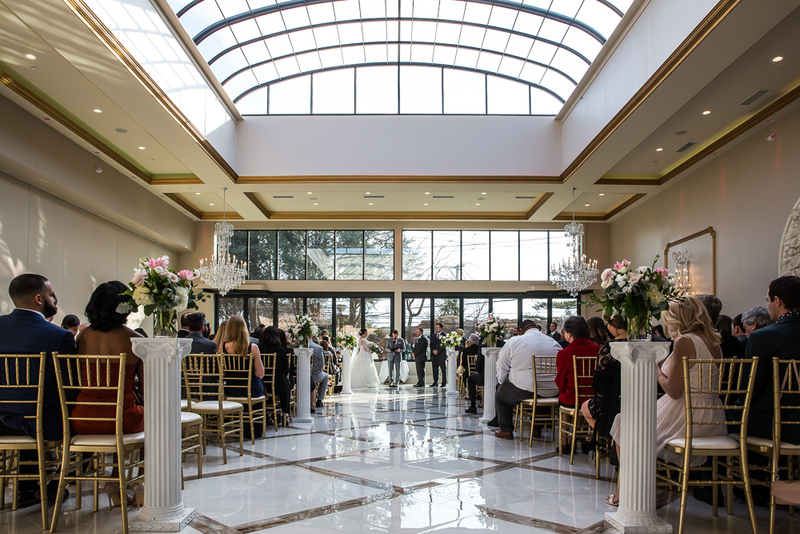 La Grande distinguishes itself as the only ballroom with access to the outdoor patio and features a breathtaking indoor waterfall. 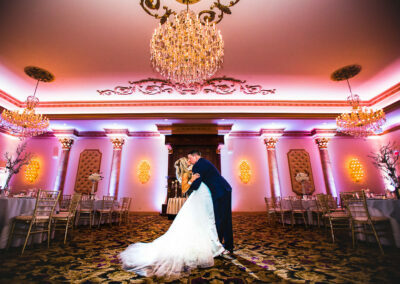 Towering 20-foot ceilings adorned with sparkling crystal chandeliers, customizable up-lighting, and color-enhanced LED lighting along the gilded moldings of the coffered ceiling add to the drama of this lavish room. 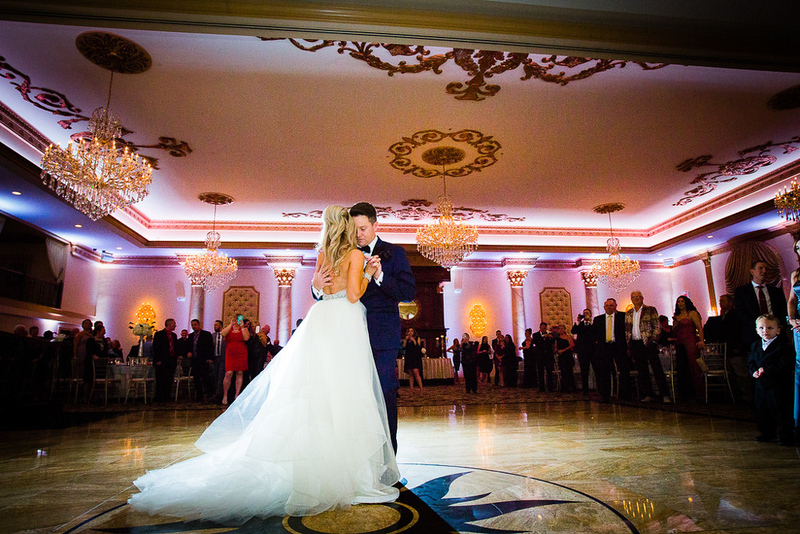 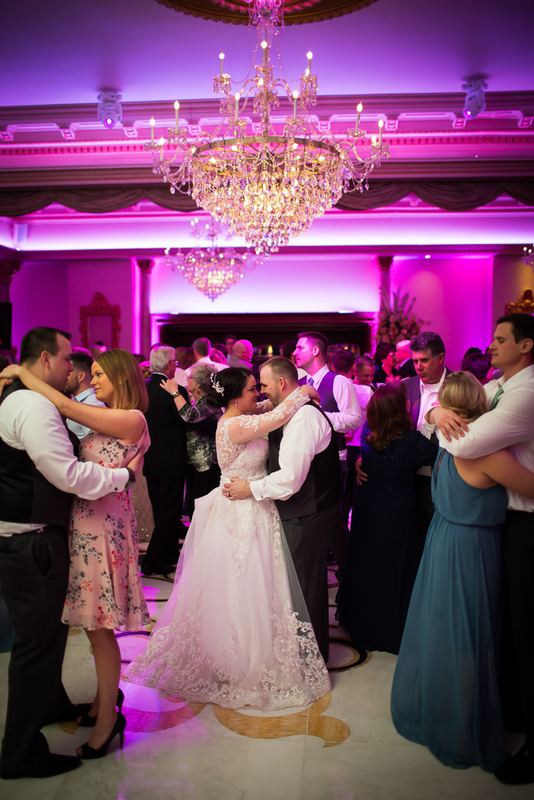 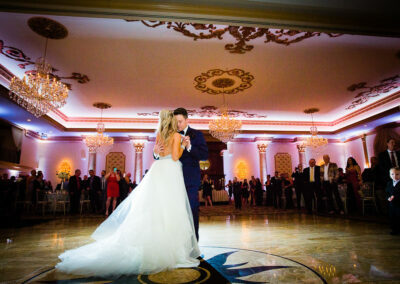 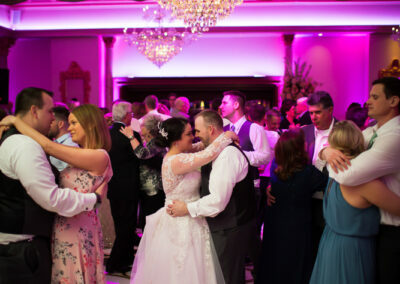 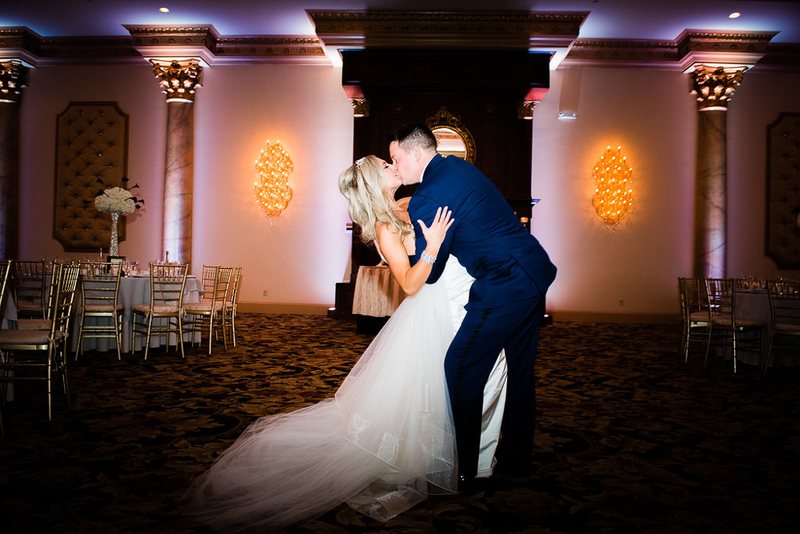 With plentiful seating during cocktail hour and a spacious dance floor, La Grande Ballroom evokes the palatial ambience of Europe and is the perfect canvas for your once in a lifetime memory. 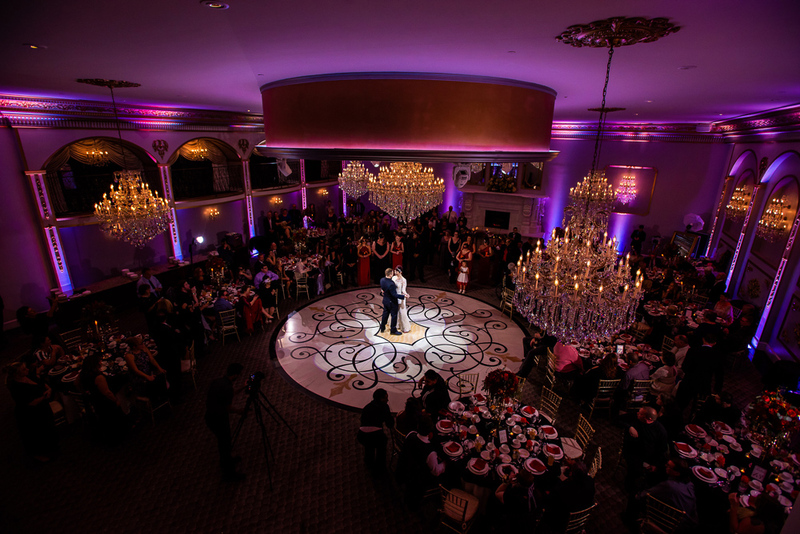 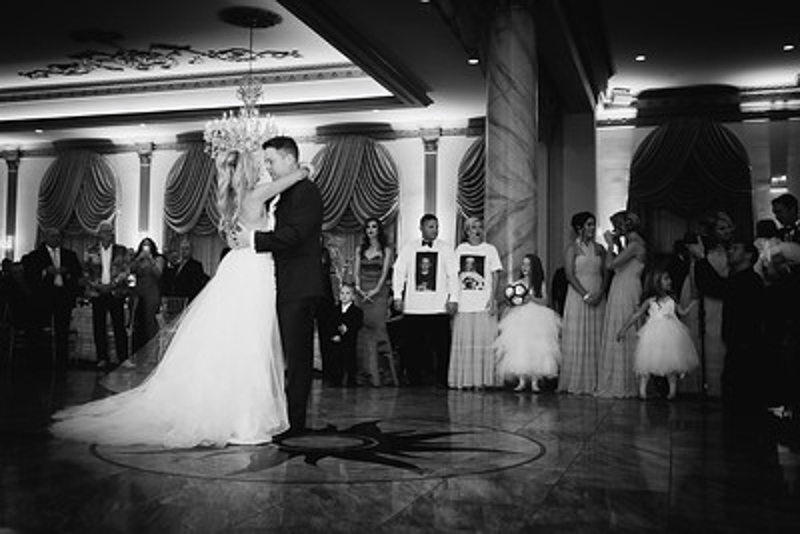 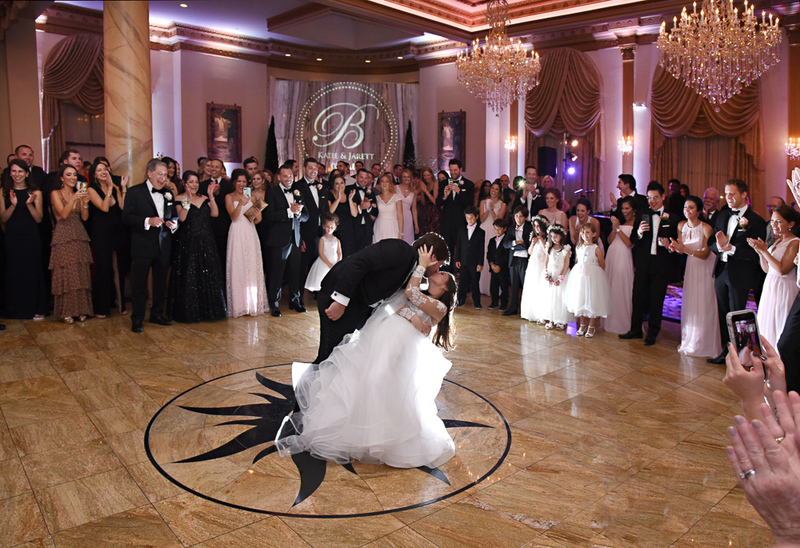 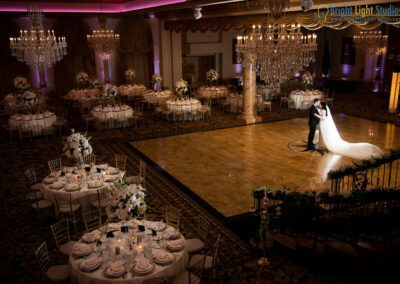 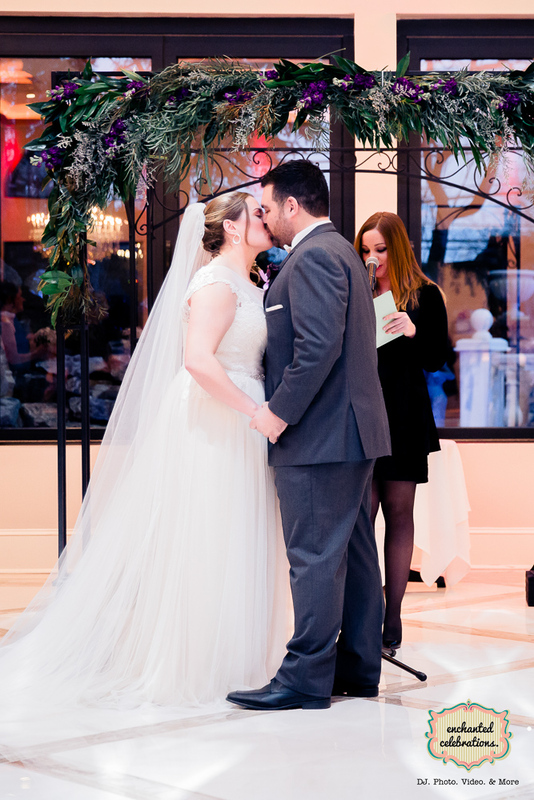 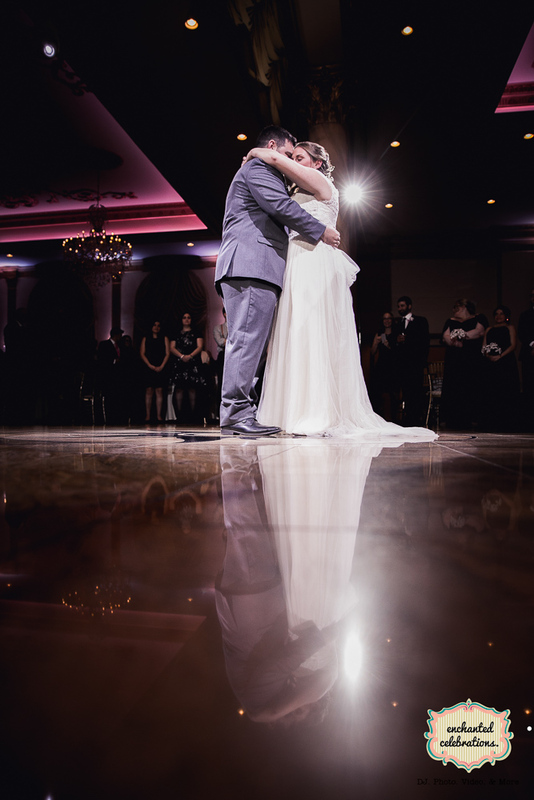 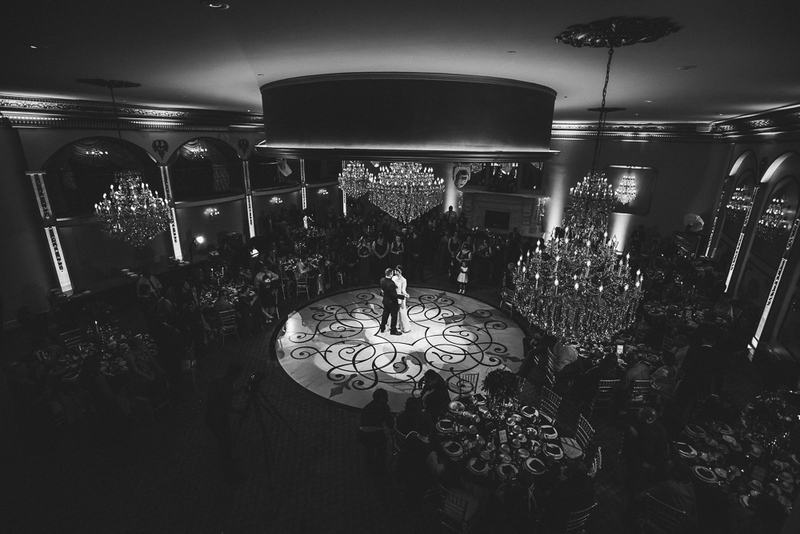 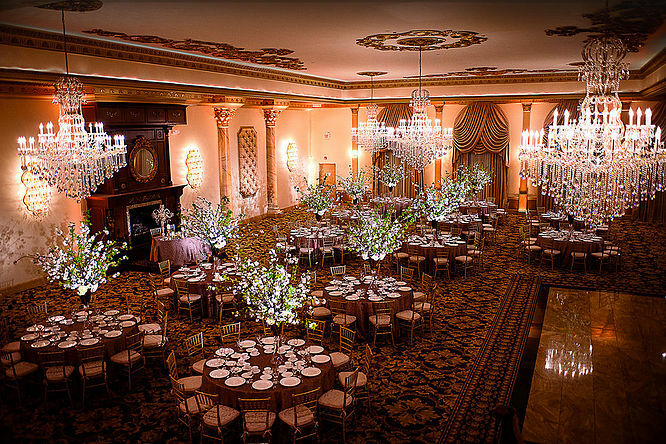 Inspired by the palaces of Italy, the Venetian Ballroom is the epitome of elegance. 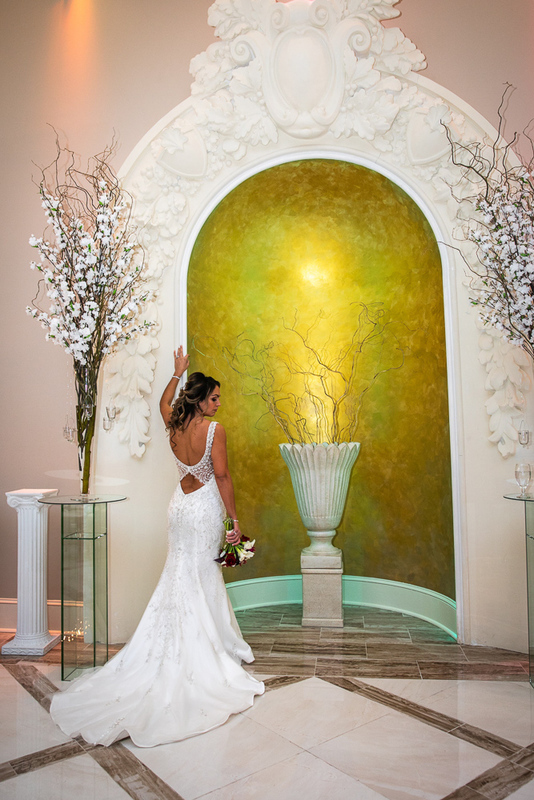 Upon entering, your guests will be greeted by the gentle sound of water cascading down a tiled wall. 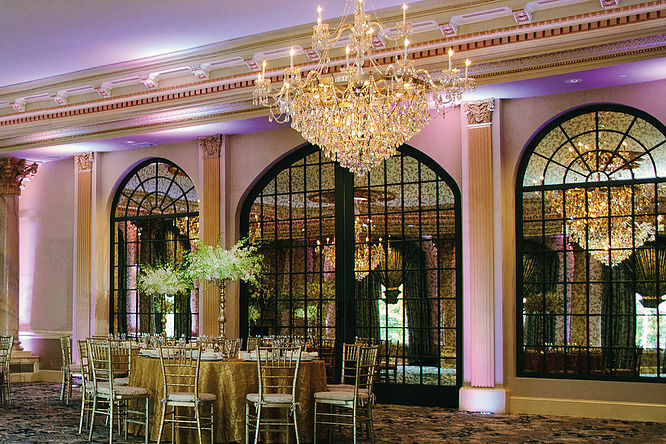 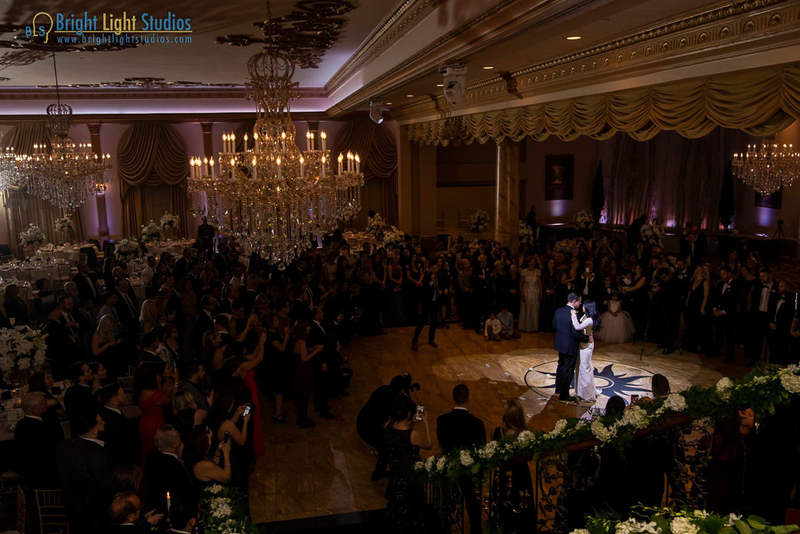 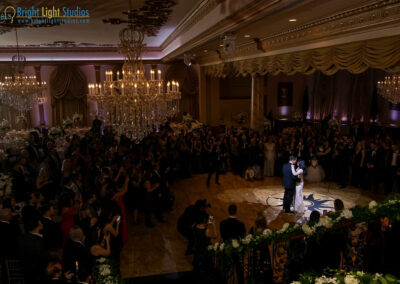 In the opposite corner, a stately hand-carved fireplace adds additional ambience, while nine-foot arched windows, ornate crystal chandeliers, large marble dance floor, and state-of-the-art LED lighting bathe the room in a warm glow. 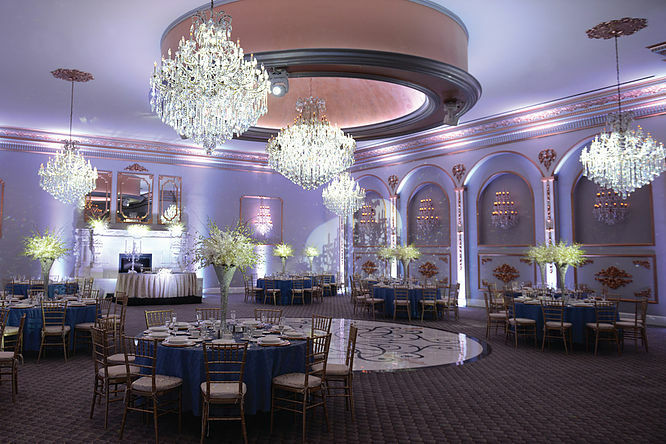 Towering marbleized columns with gilded capitals stand sentry along the perimeter and surround a hand-painted faux sky ceiling. 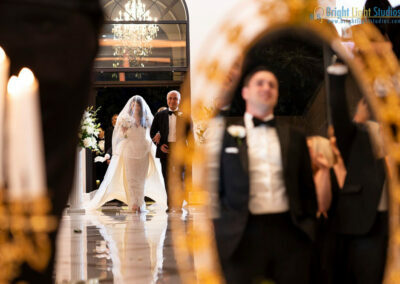 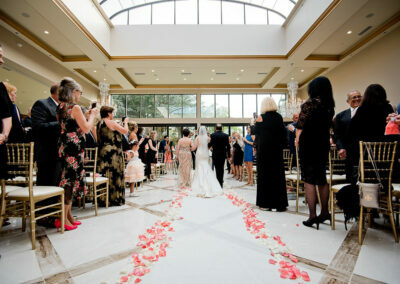 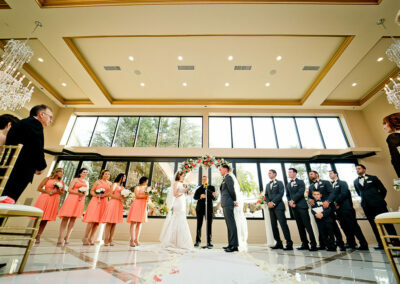 ​ The wedding party enters the event down a grand staircase with an impressive scene-like backdrop. 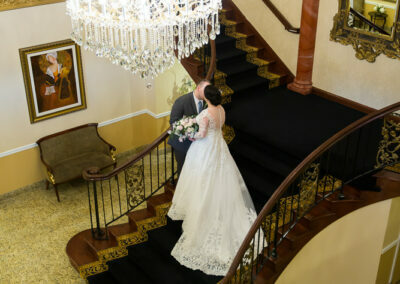 Guests can enjoy a private entrance, separate kitchen, bridal suites, and private rest rooms. 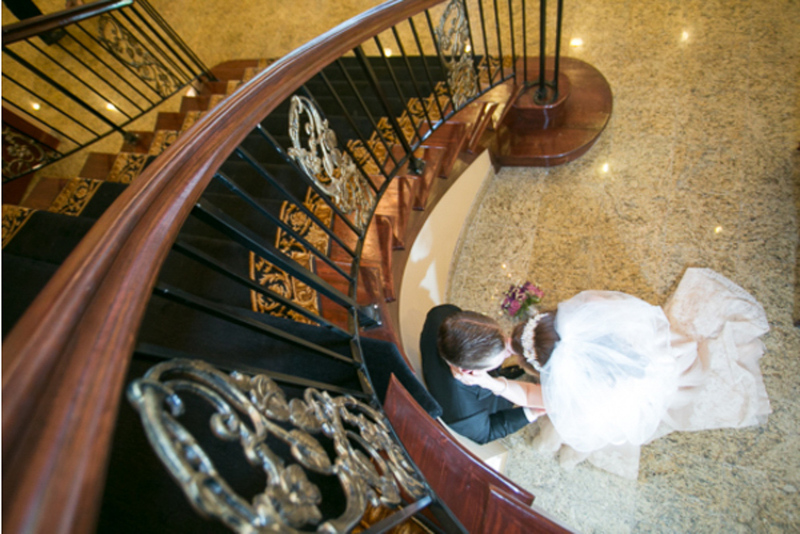 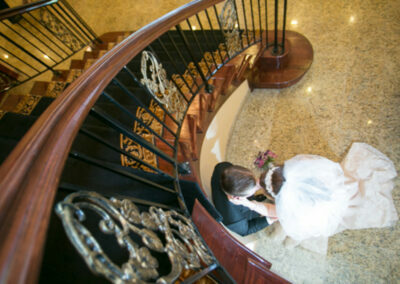 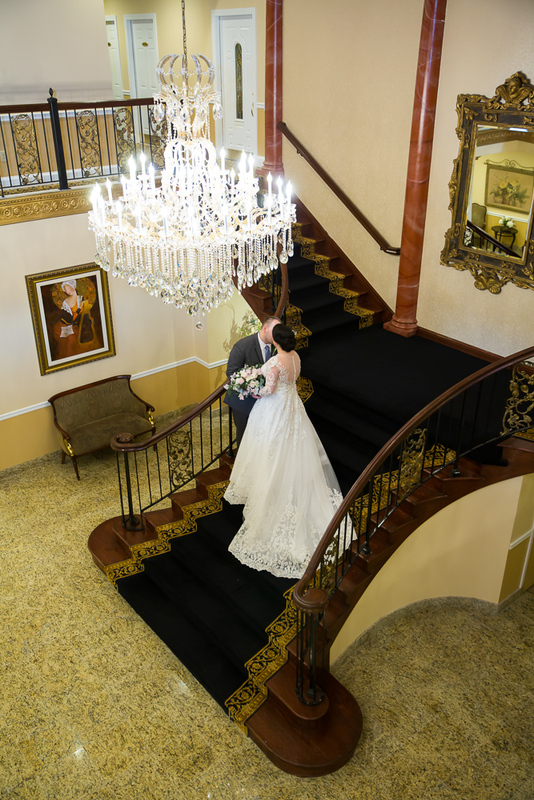 Make a grand entrance by way of your own private staircase, then dance the night away surrounded by family and friends. 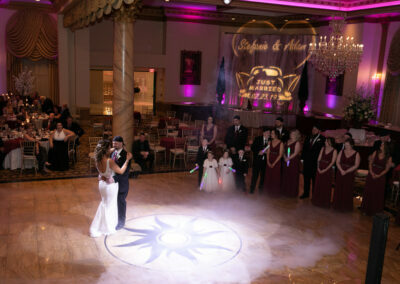 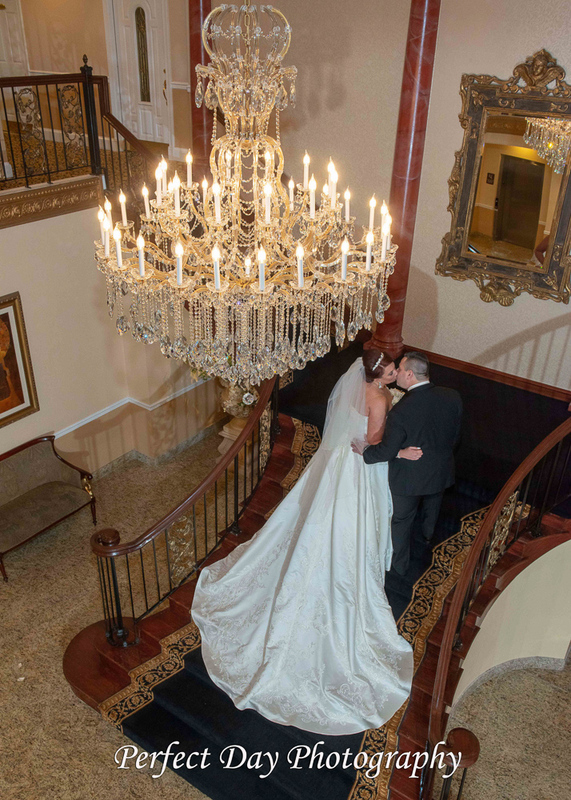 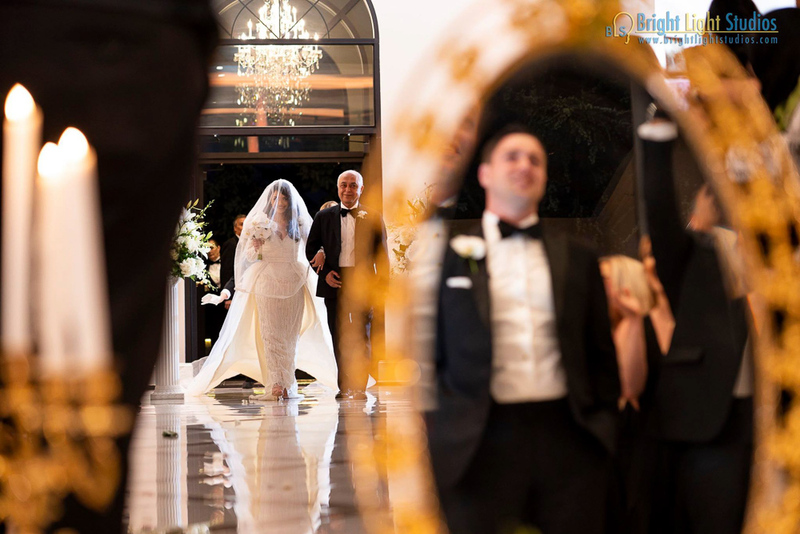 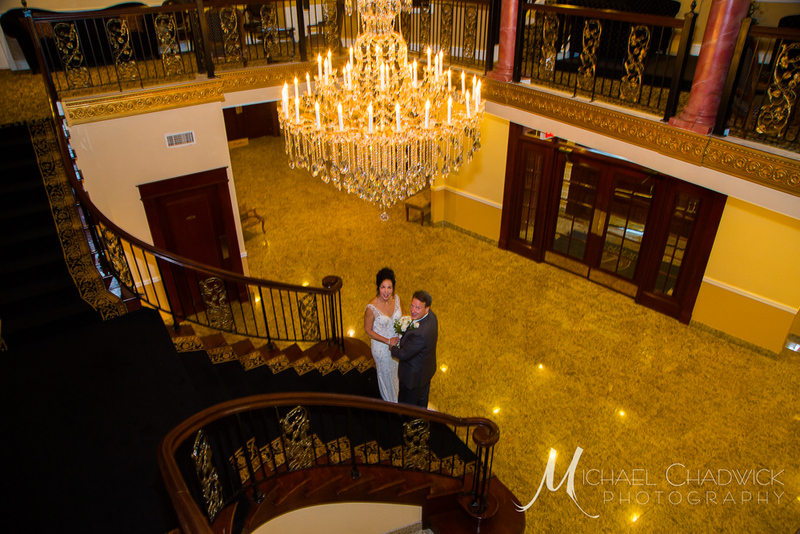 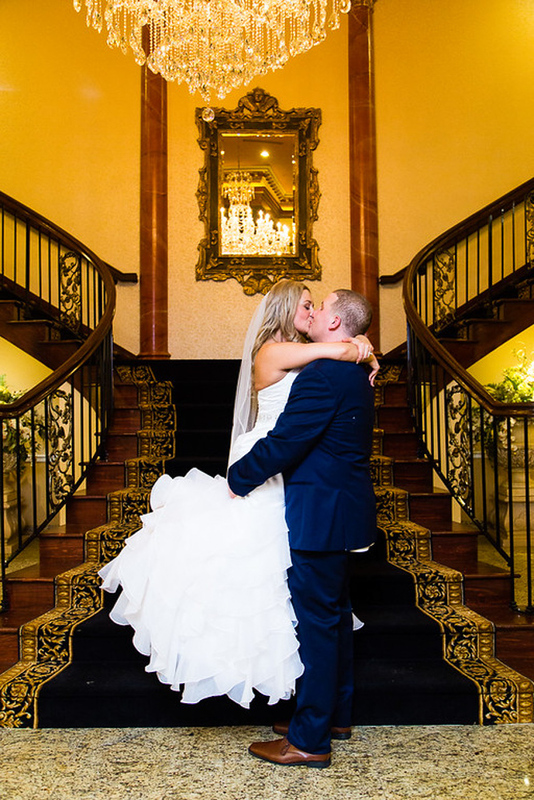 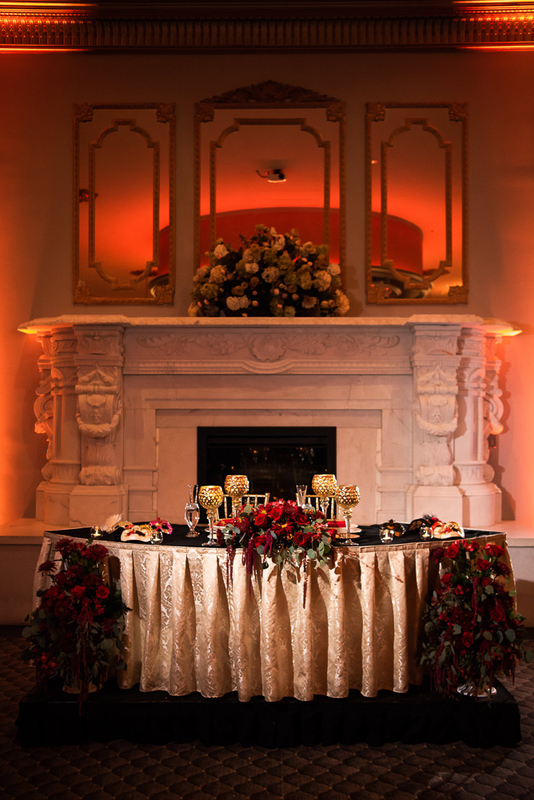 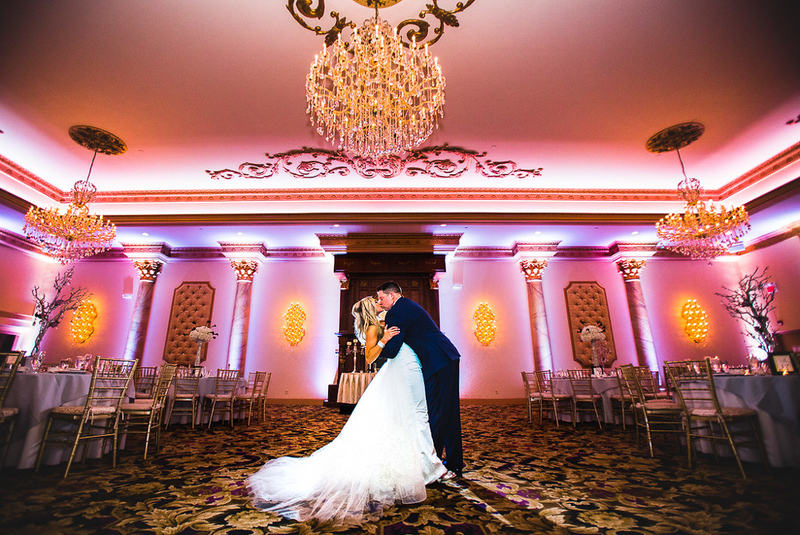 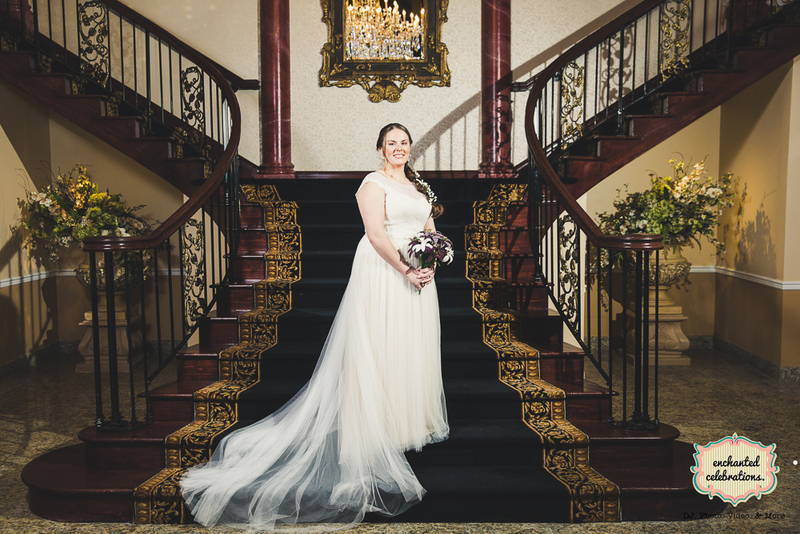 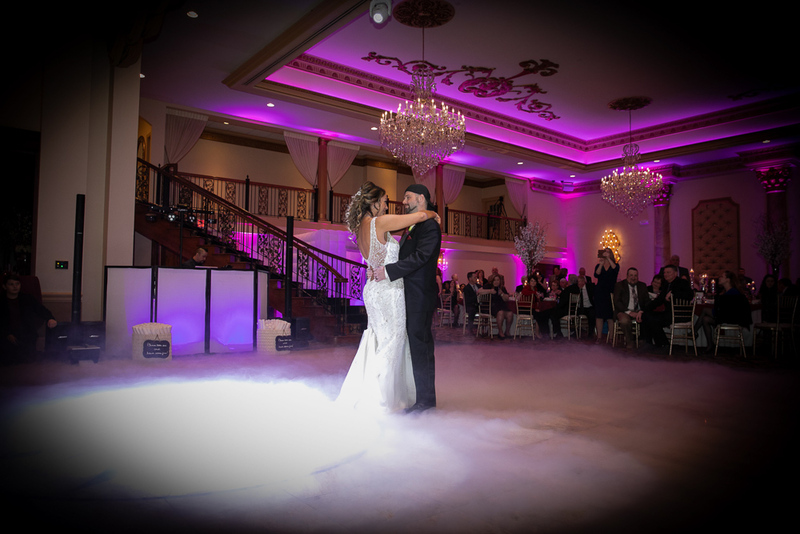 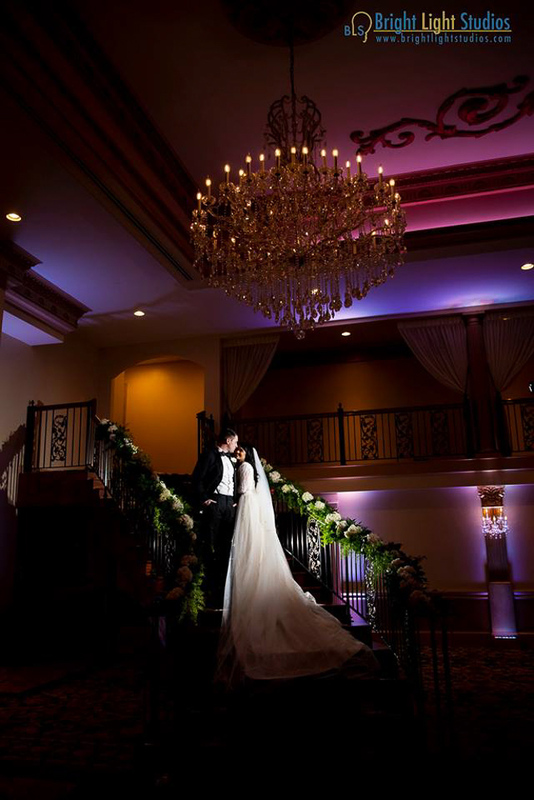 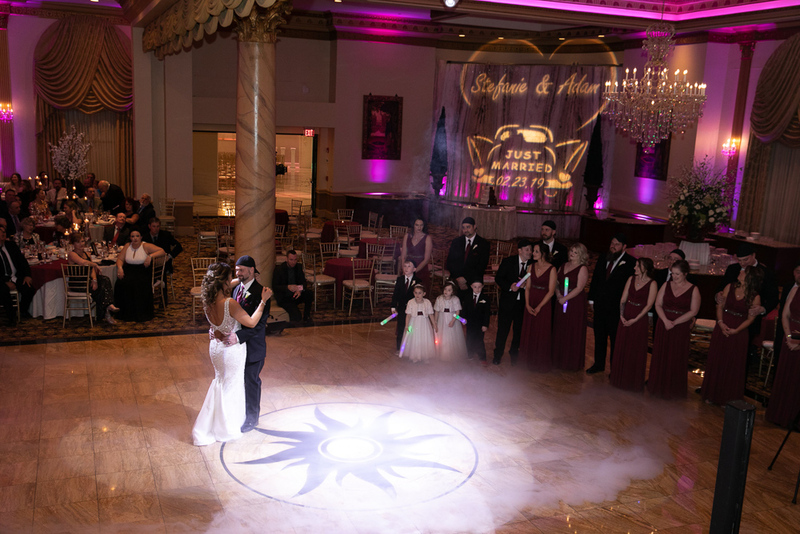 Cascading crystal chandeliers, marble fireplace, customizable lighting with accented classic French wall colors and tasteful décor set the tone for a most memorable event. 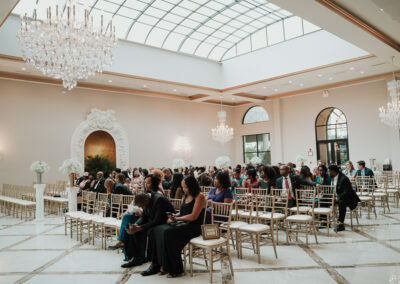 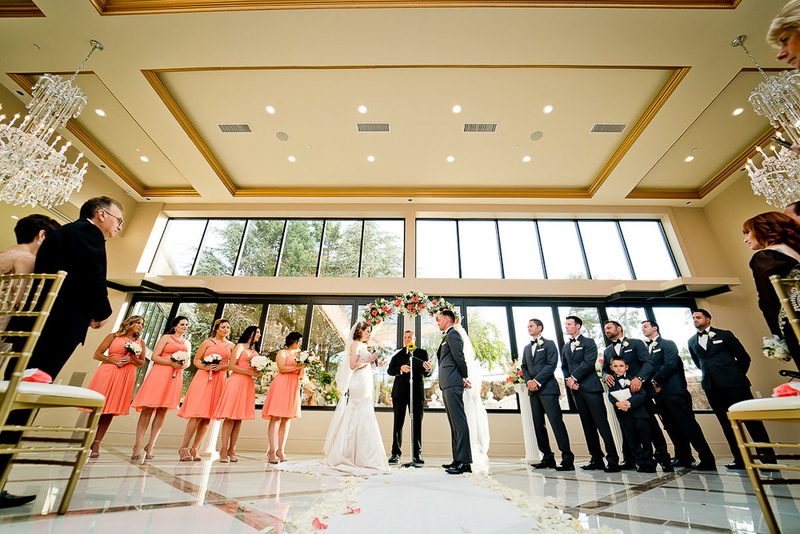 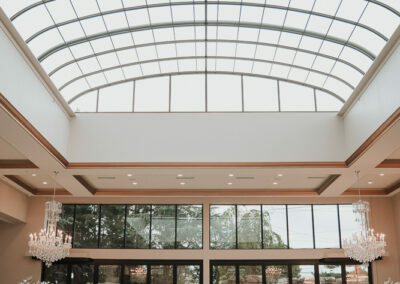 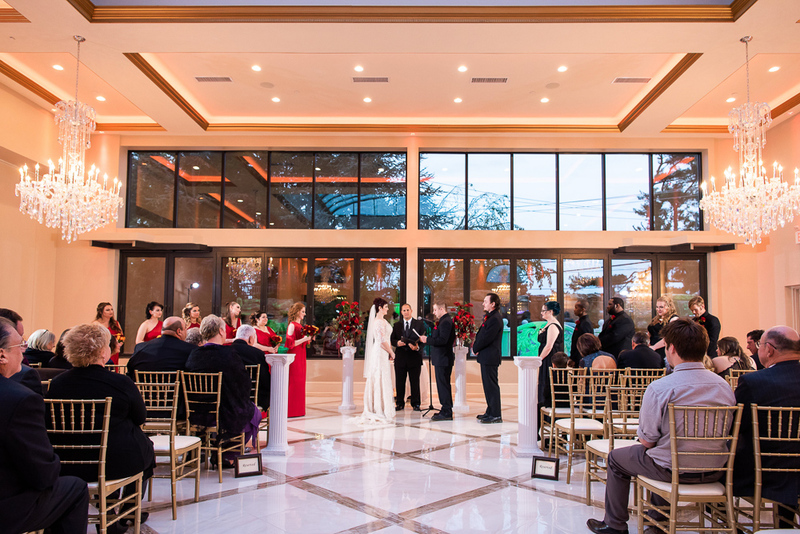 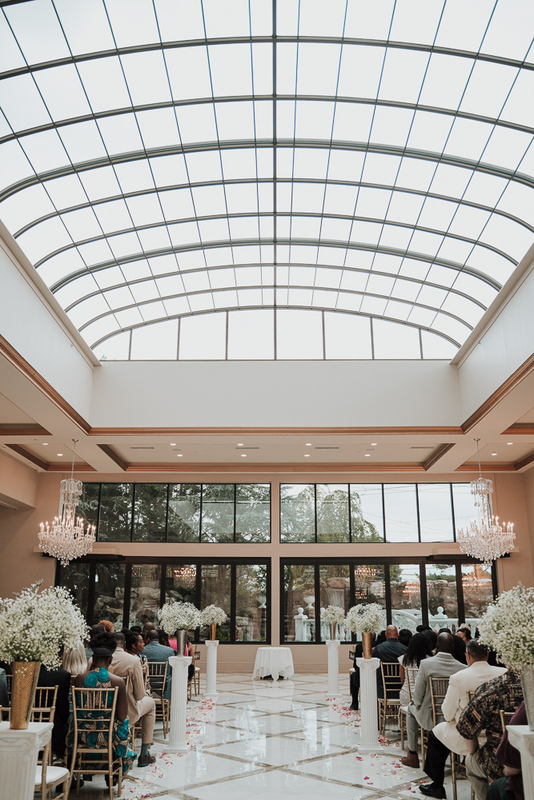 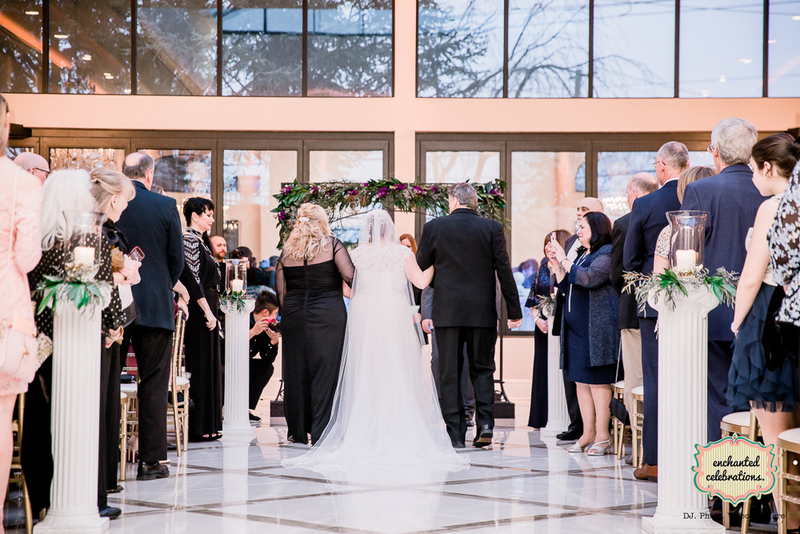 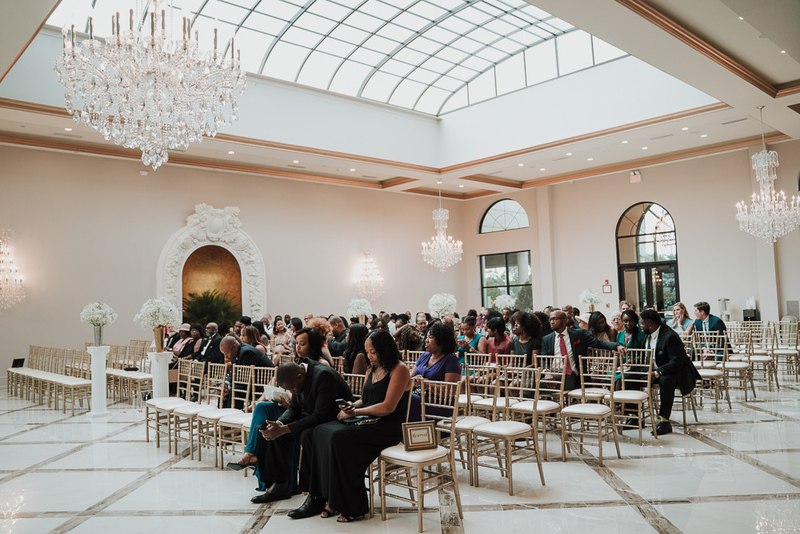 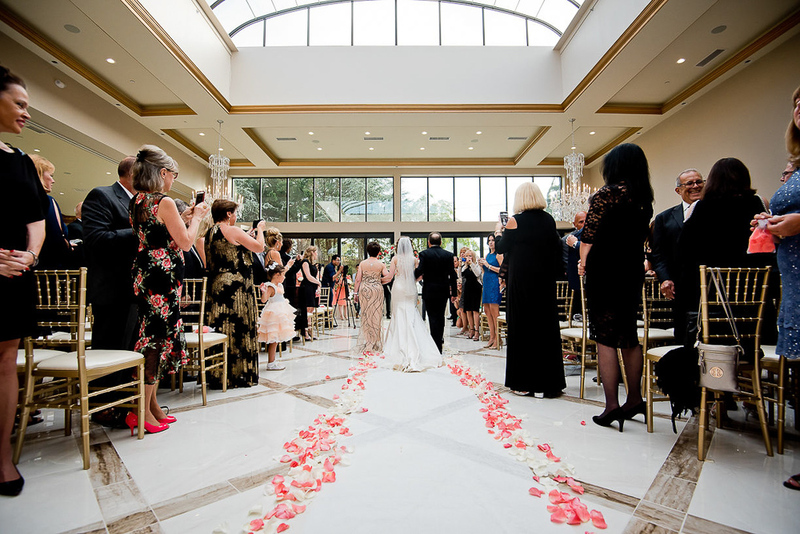 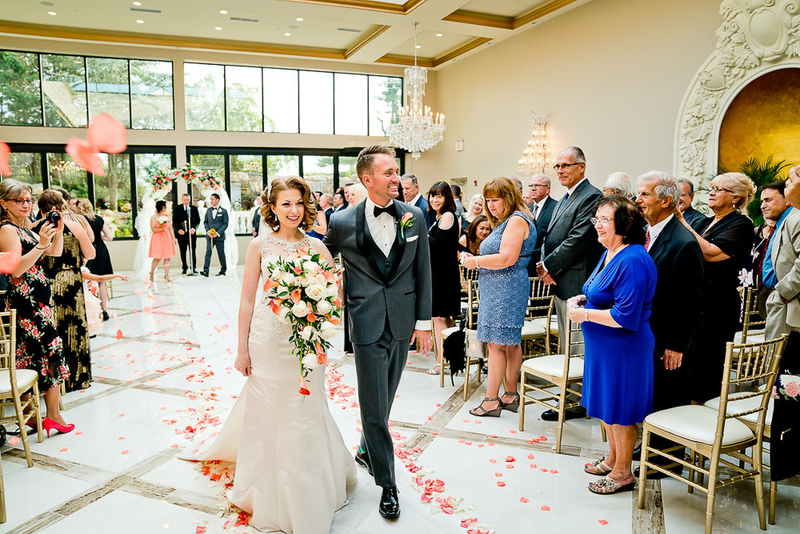 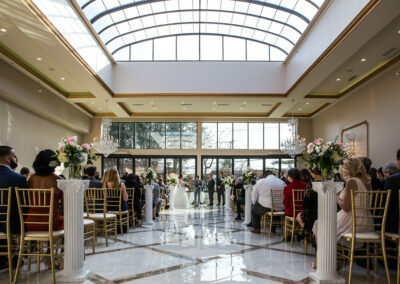 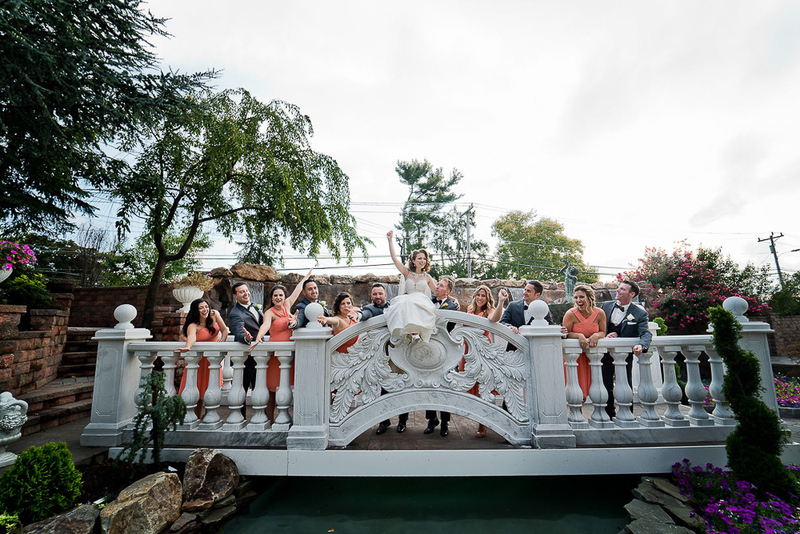 Distinctively designed with open floor plan and balcony for a birds eye view of festivities below, the Versailles Ballroom is an ideal reception venue. 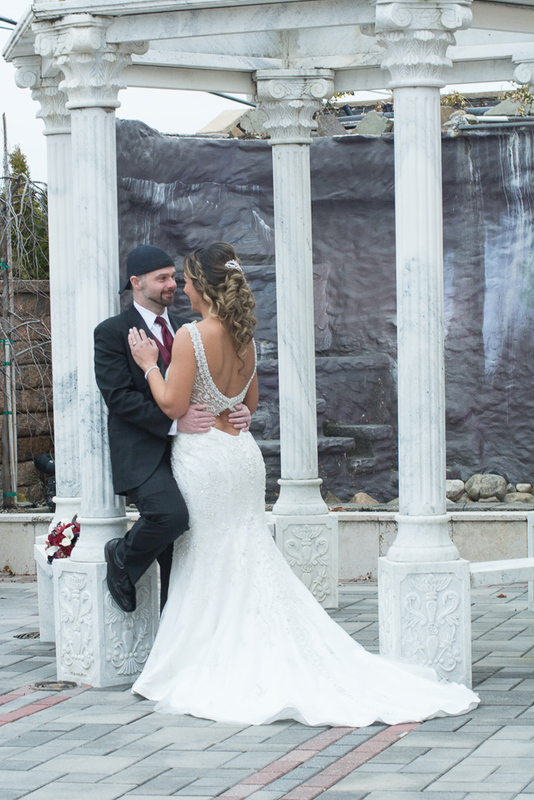 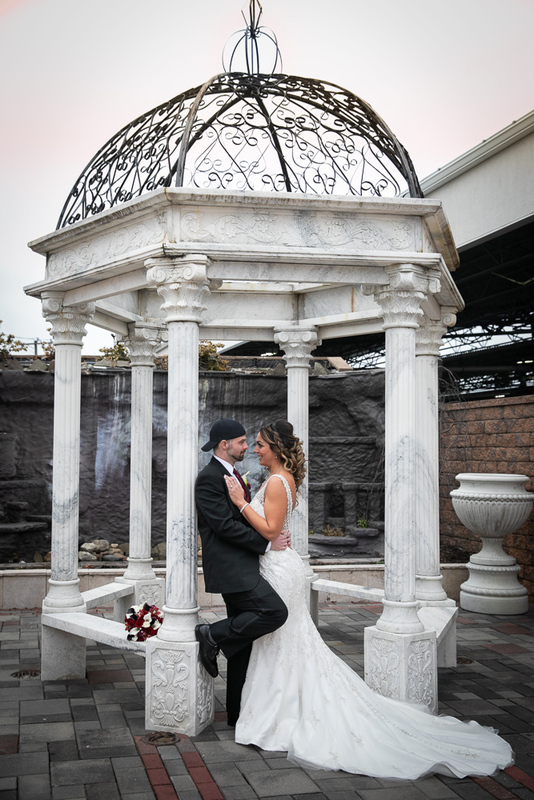 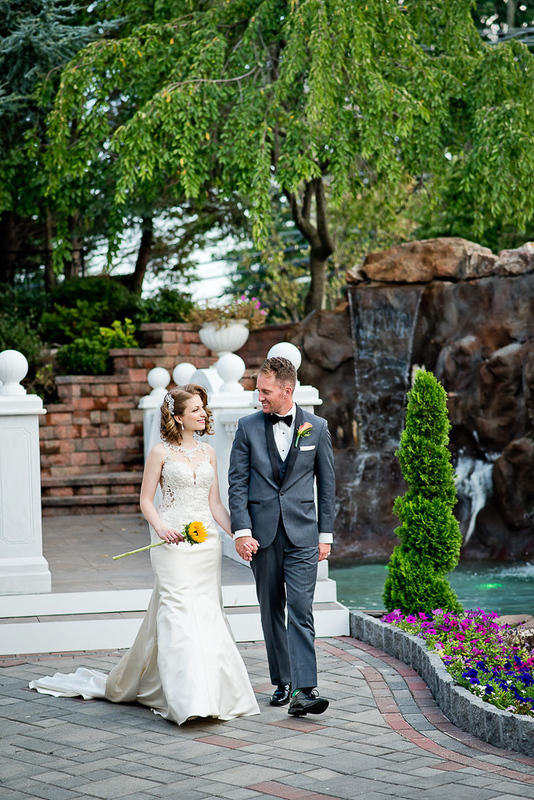 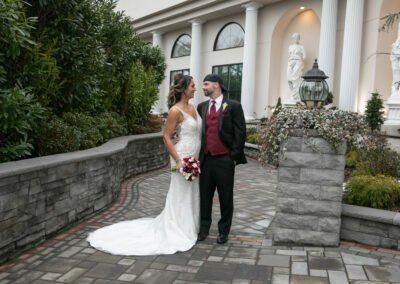 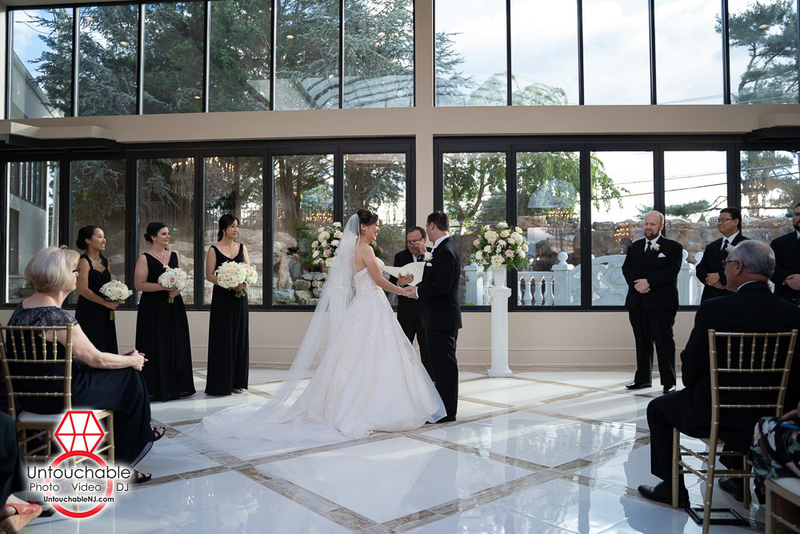 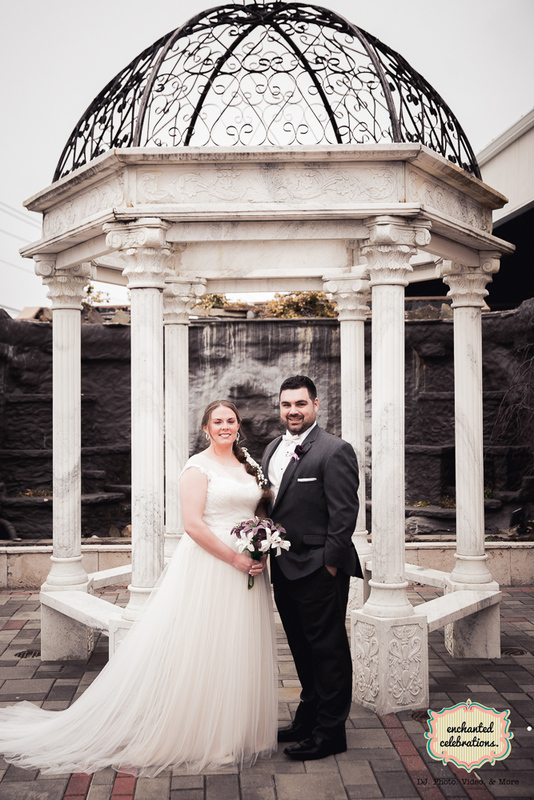 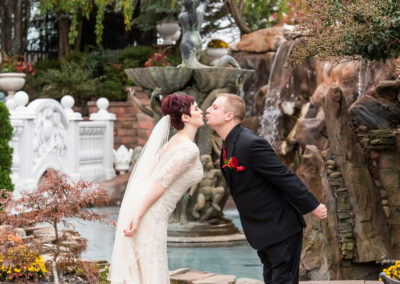 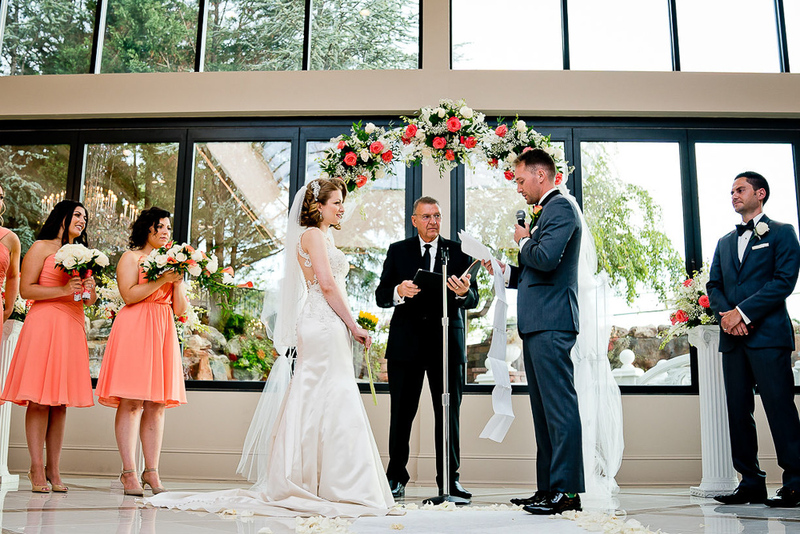 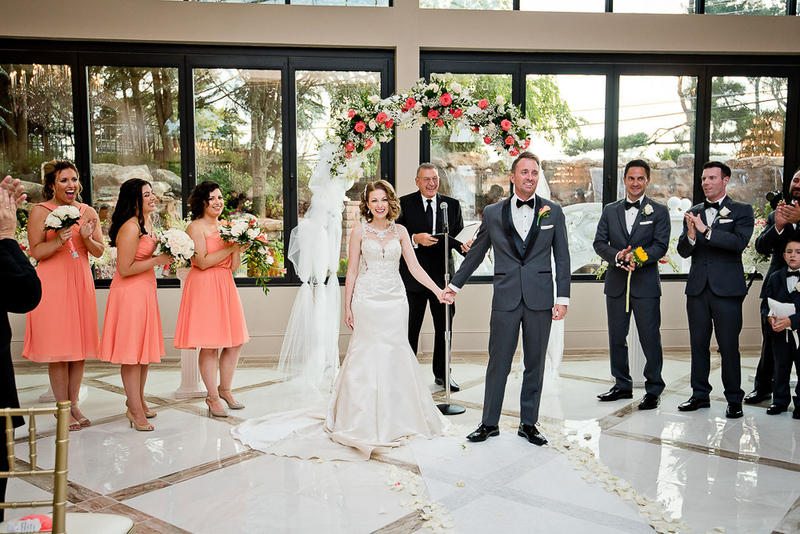 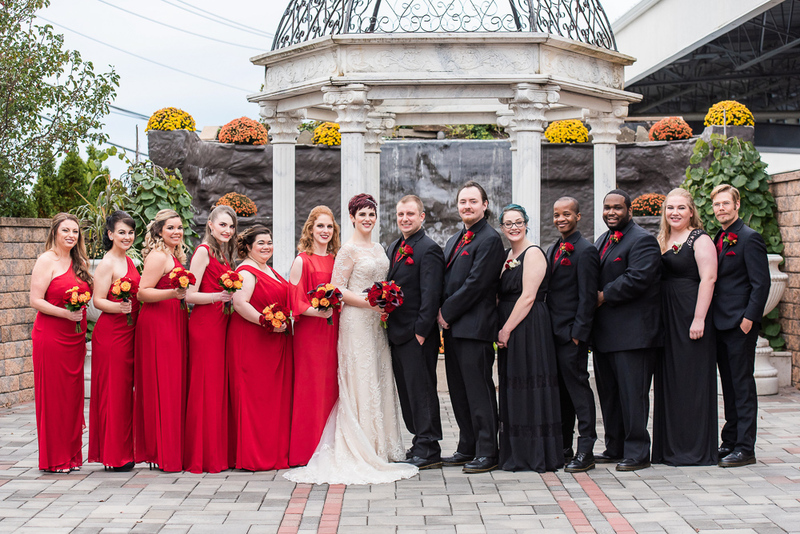 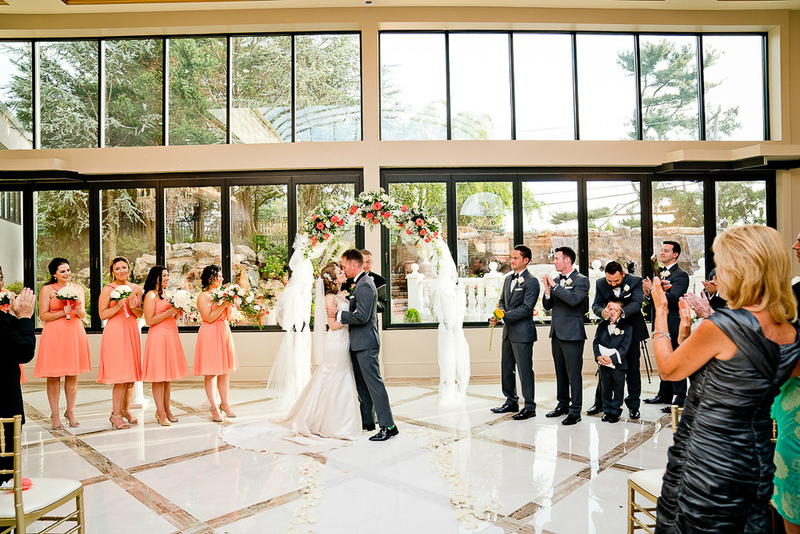 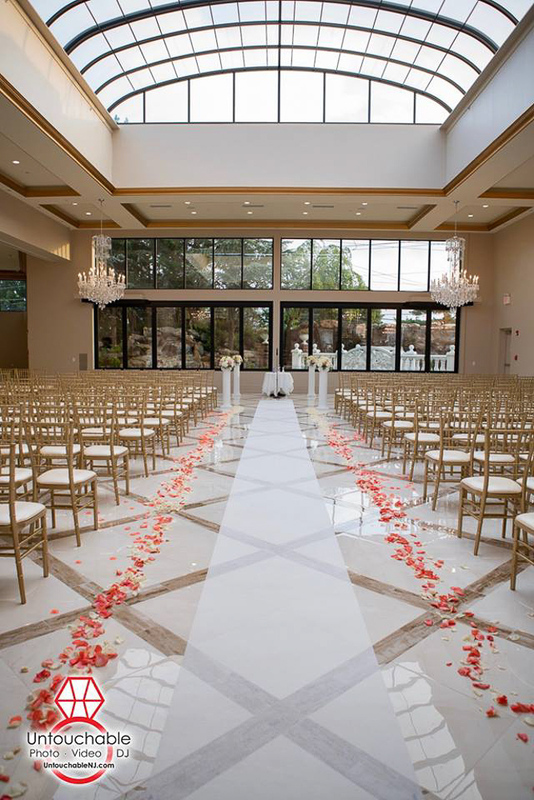 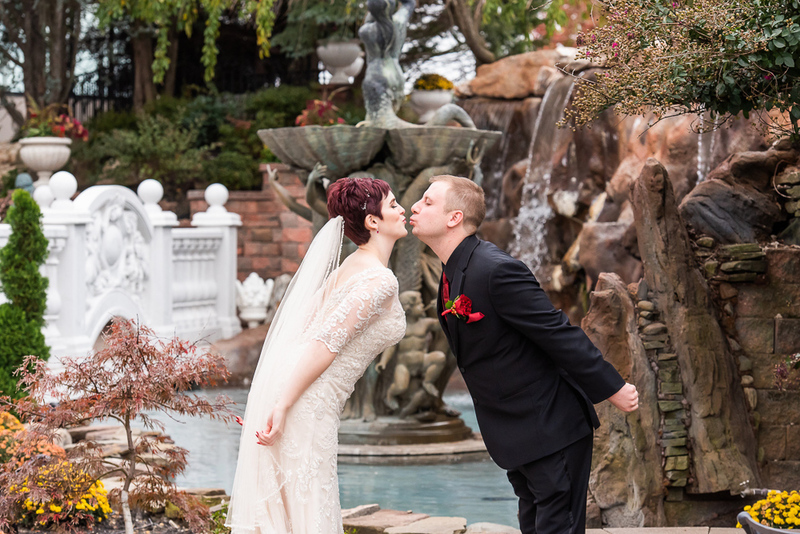 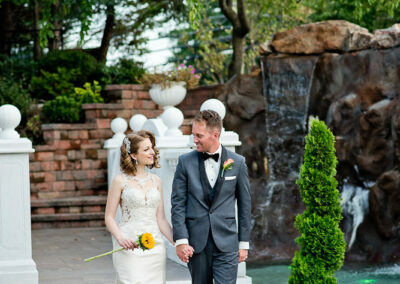 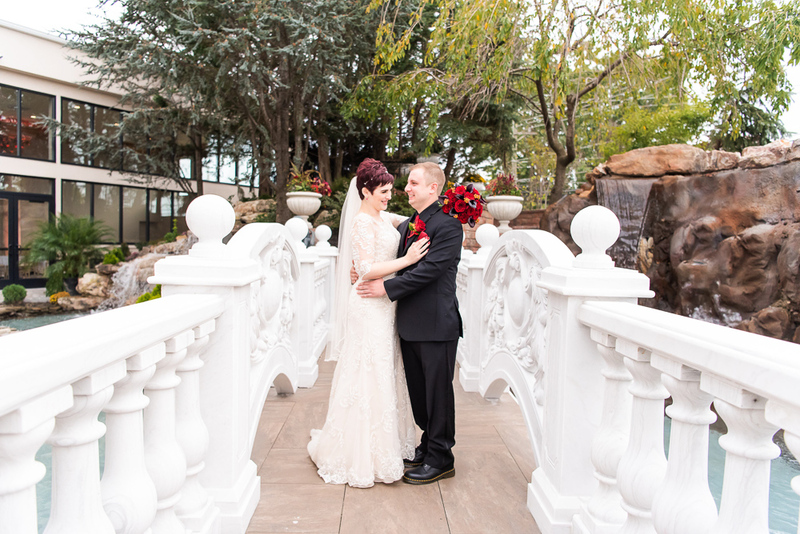 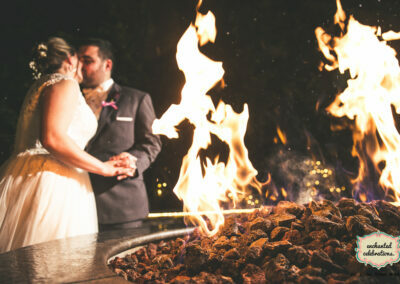 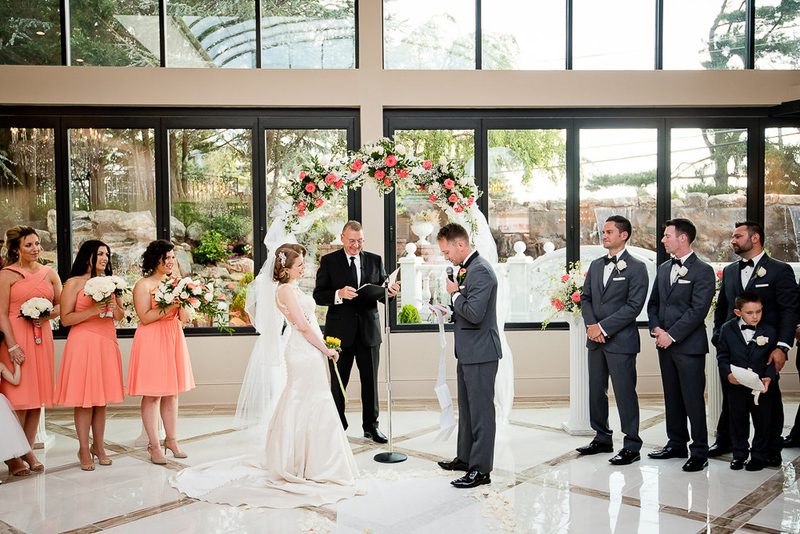 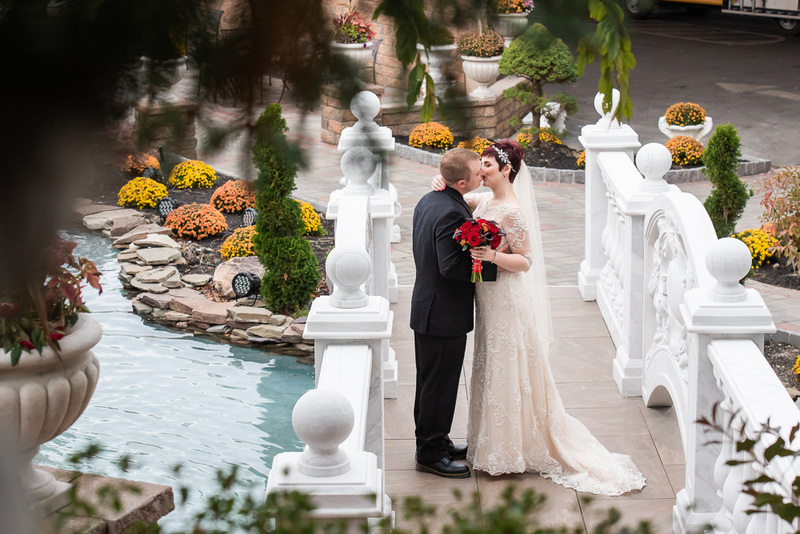 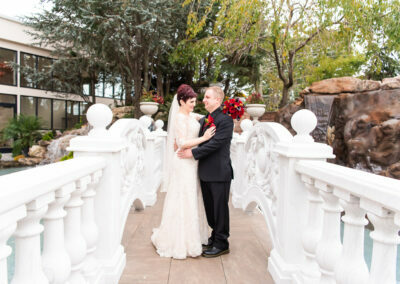 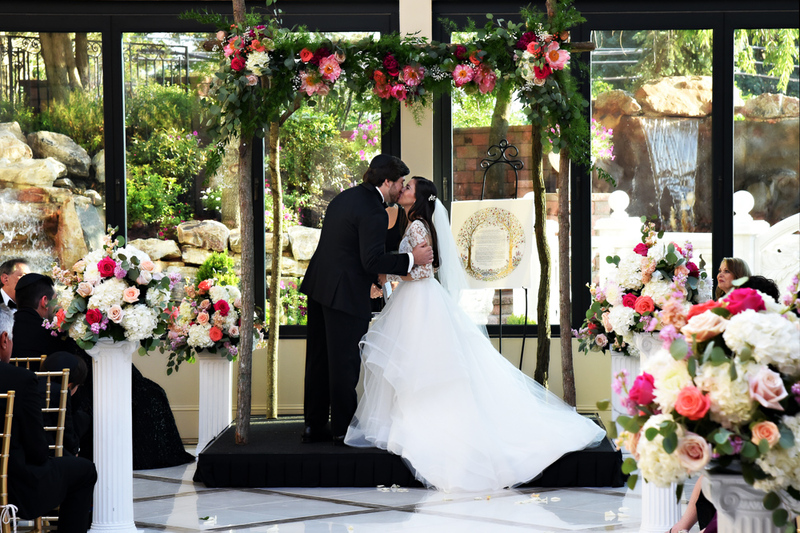 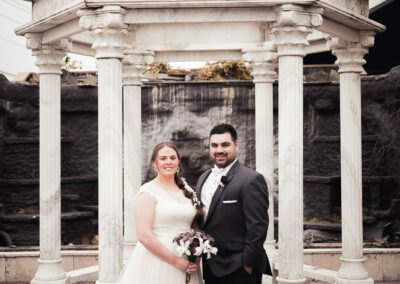 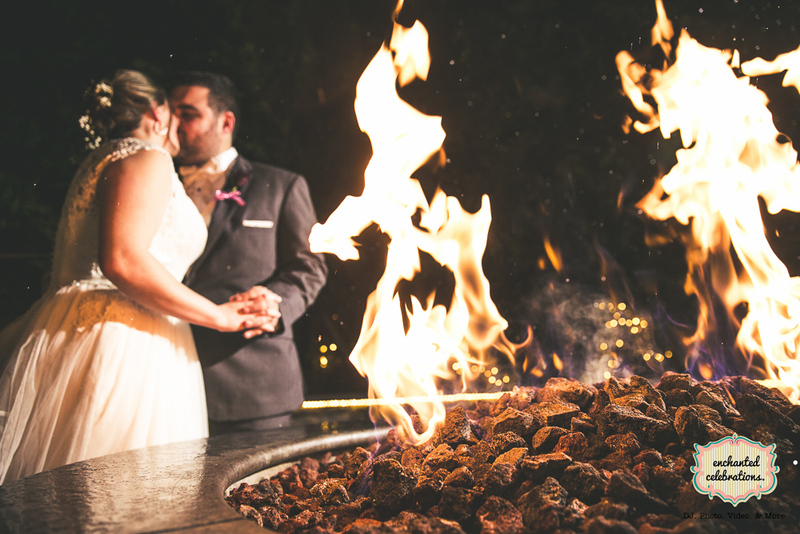 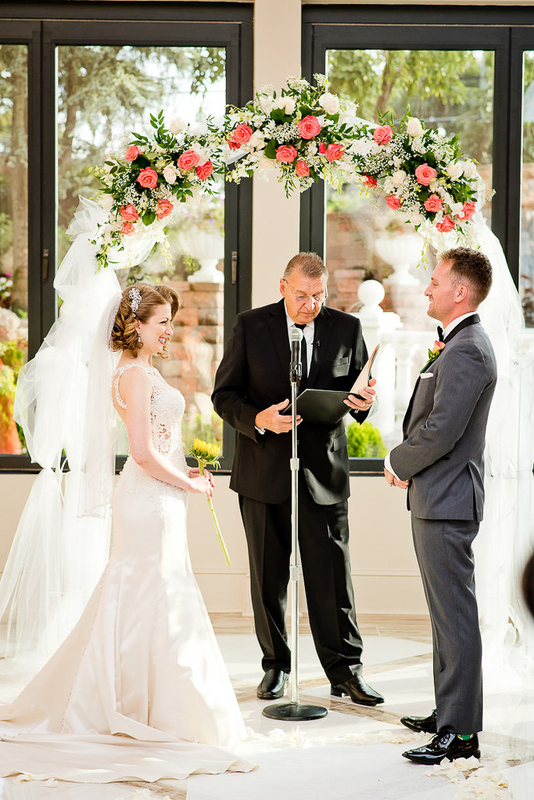 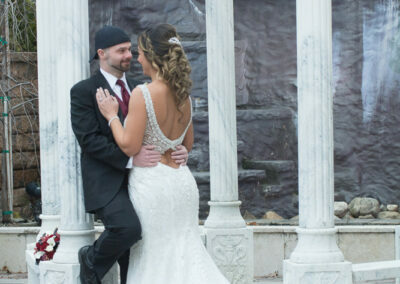 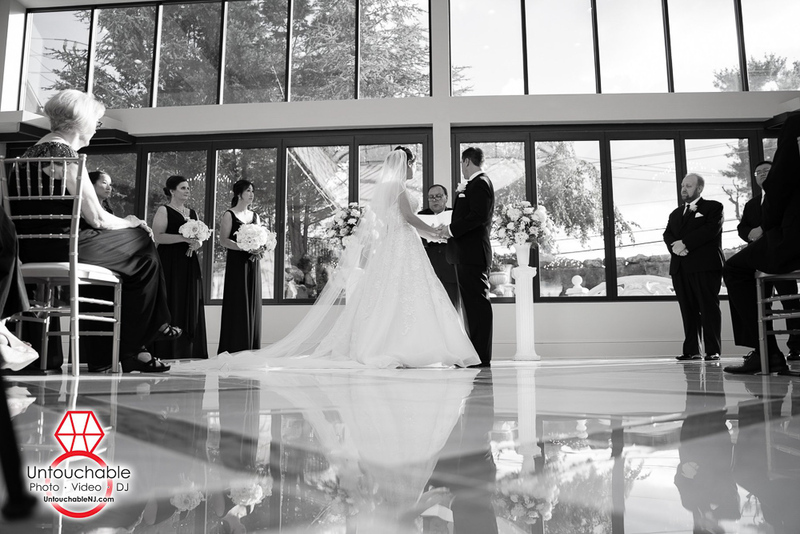 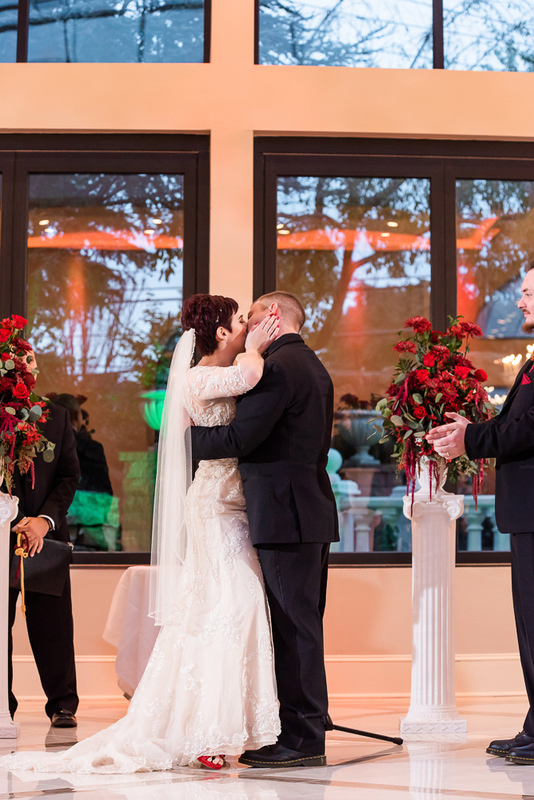 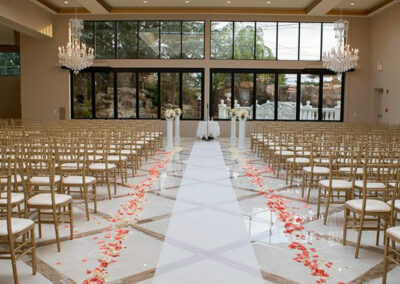 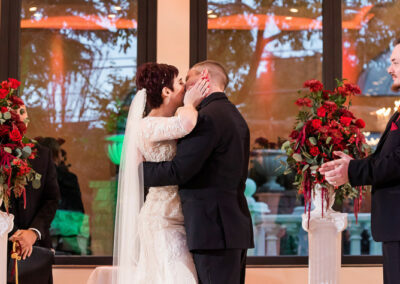 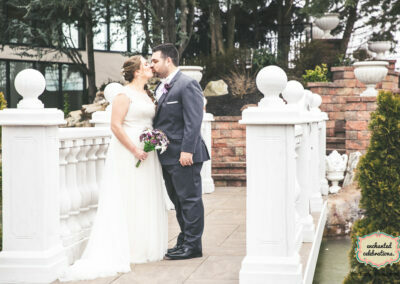 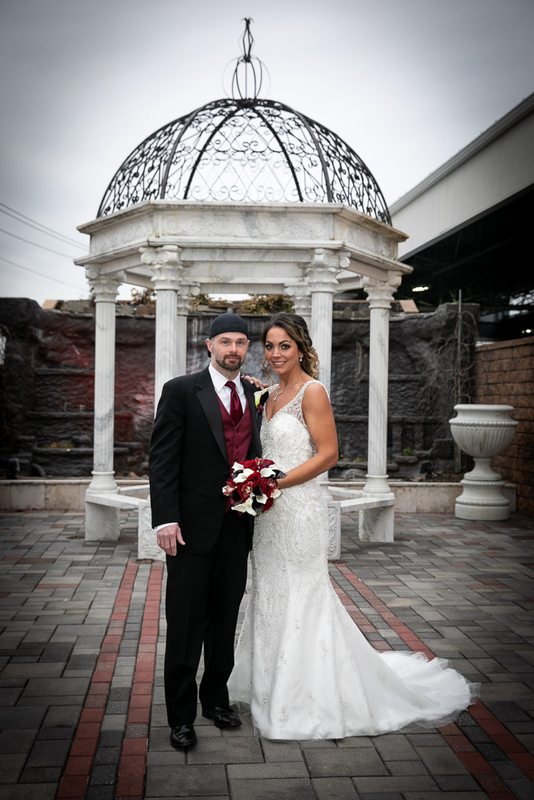 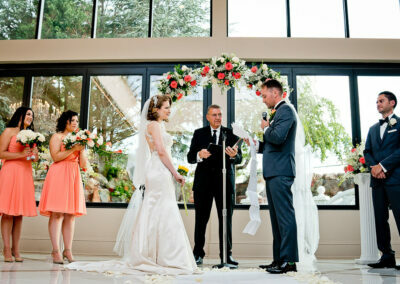 Ceremonies may be held in our gorgeous indoor/outdoor chapel amid the beautiful waterfalls. 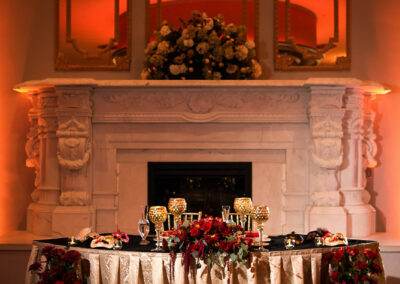 Amenities, such as gold chaivari chairs, ceremonial pillars, and a white lace-covered unity table, are included. 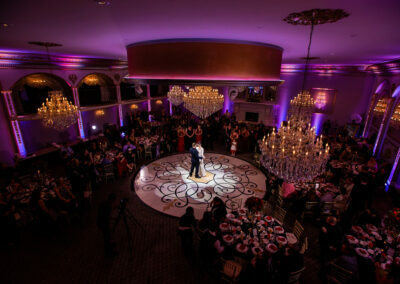 Come and live incredible moments.